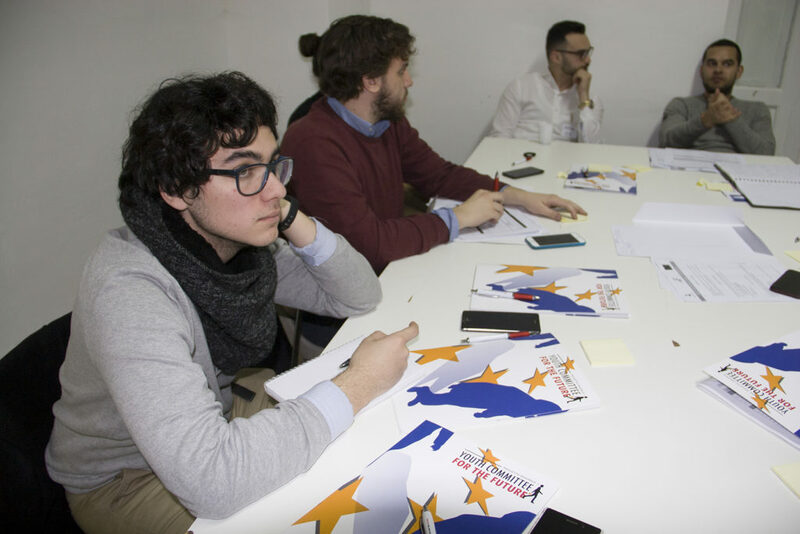 Awareness about the challenges of tomorrow should become part of the expertise and skills of the younger generations in Europe. 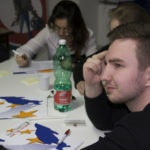 Young Europeans should be able to understand the current trends, the possible future scenarios and the social consequences related to complex phenomena. 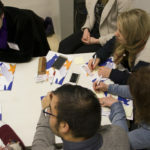 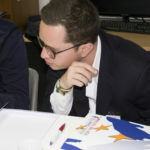 Considering that the present thematic priority of the 5th Structured Dialogue cycle identified by the Presidency Trio is “Enabling all young people to engage in a diverse, connected and inclusive Europe – Ready for life, Ready for society”, the activities of youth workers and youth organizations should be focused on the current challenges to understand the future changes in the European society. 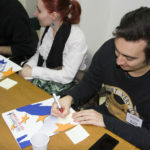 The analysis of the answers provided by youth people through the questionnaires arranged by the Youth Forum, in the last months, show interesting results: they ask for an increased training and education, both as a need aimed at increasing their set of skills, knowledge and abilities, and as a tool to overcome the discrimination, due to lack of information. 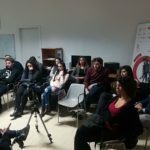 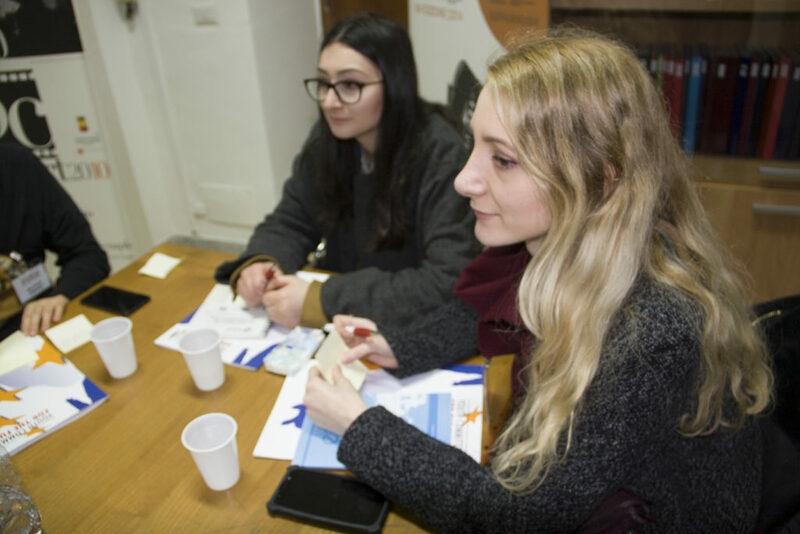 At the same time, it is clear that a major concern affecting young people is related to the economic and employment crisis, which involves them directly. 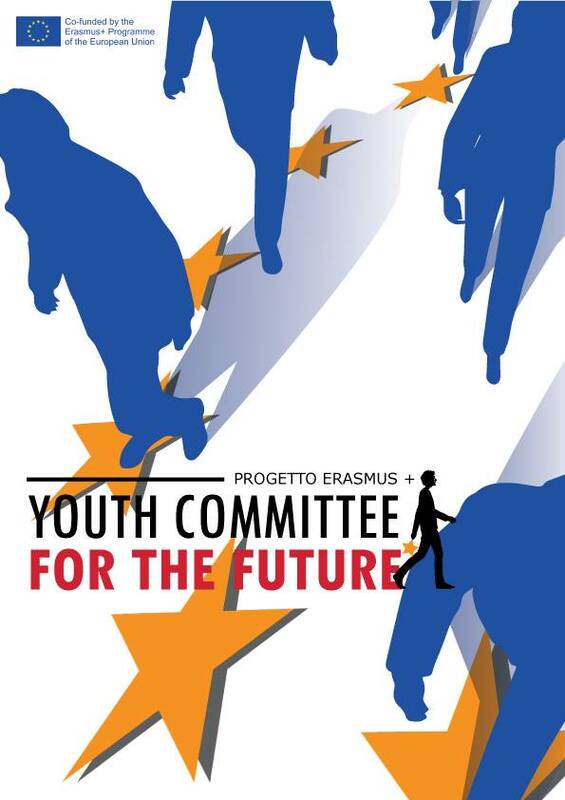 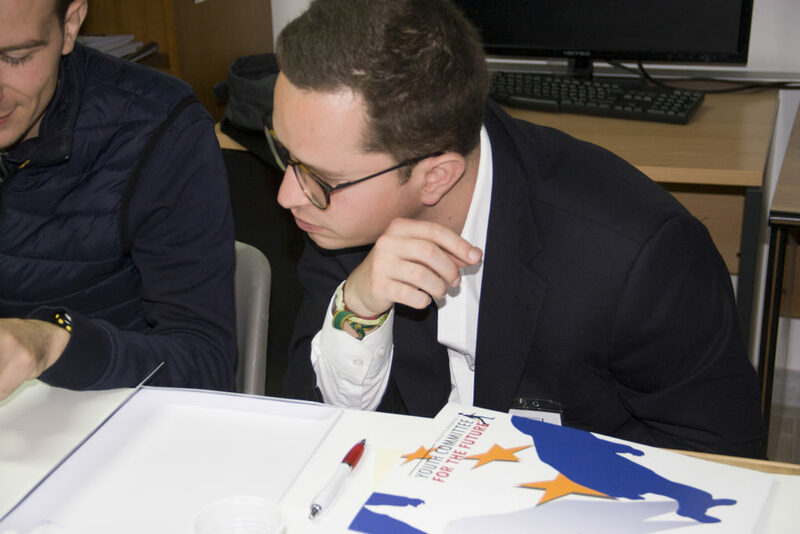 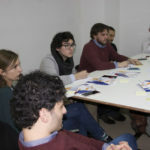 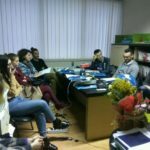 Our project titled “Youth Committee for the Future” is designed to simulate the working principles of a European parliamentary committee for the future, using methods such as technology assessment, scenario-building and foresight practices in order to enable young participants both to analyze selected topics as well as to propose initiatives to be implemented to address long-term issues. 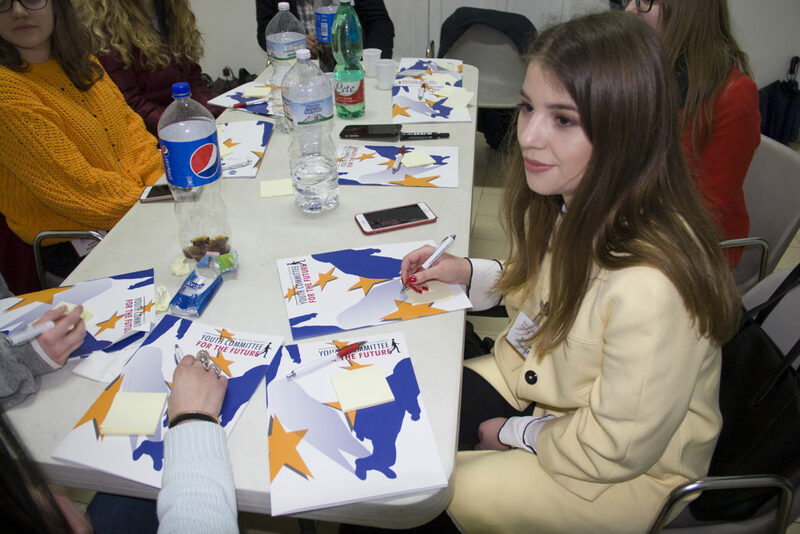 Young participants have been selected by each partner among young people who are interested in topics related to future challenges and who firmly believe in the role of young citizens to address them. 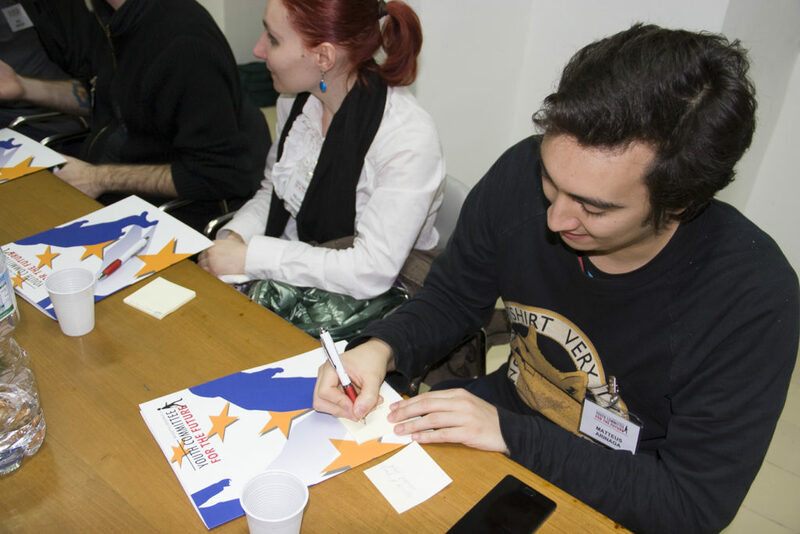 Each partner organization will send 10 participants, 5 males and 5 females, for a total of 50 participants. 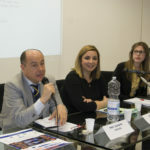 The Italian Institute for the Future has select external, high-profile experts for each topic of discussion. 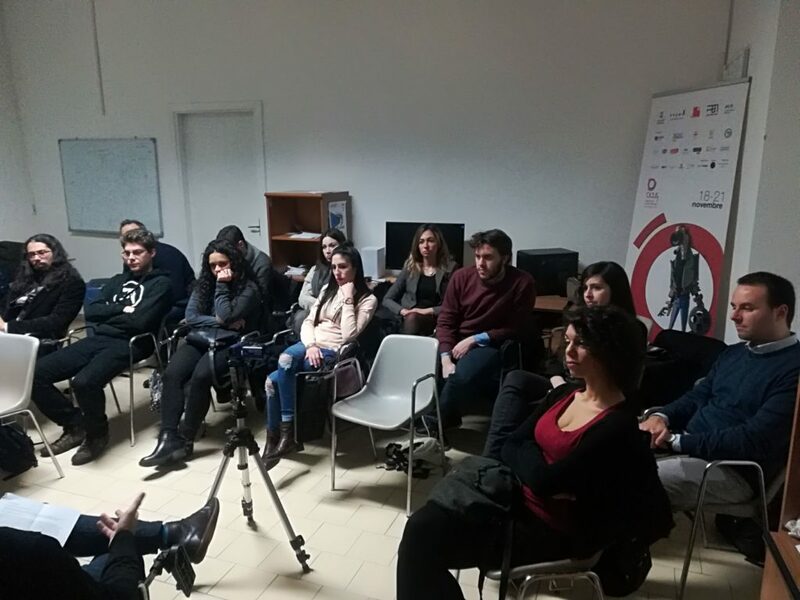 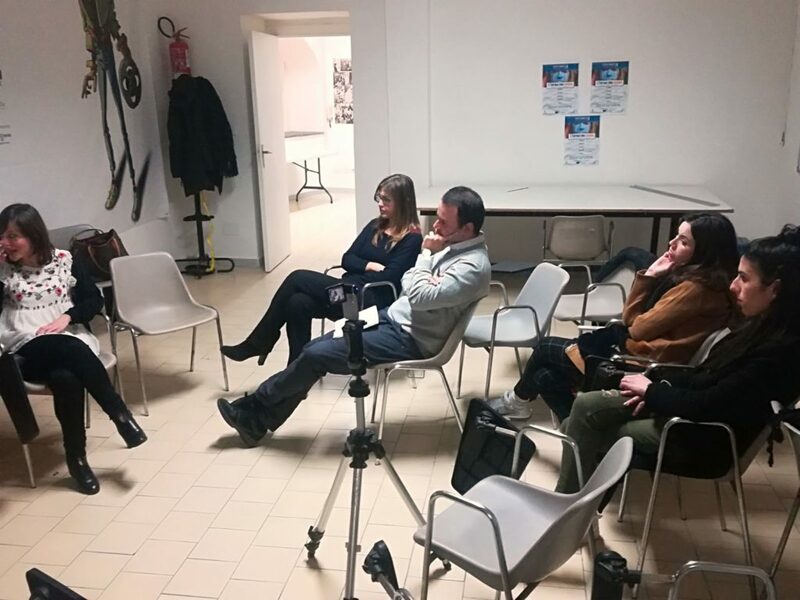 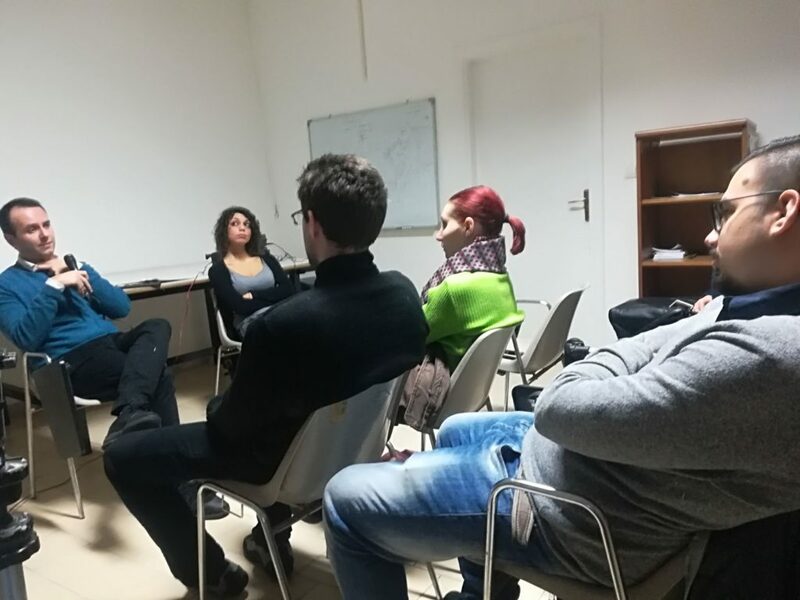 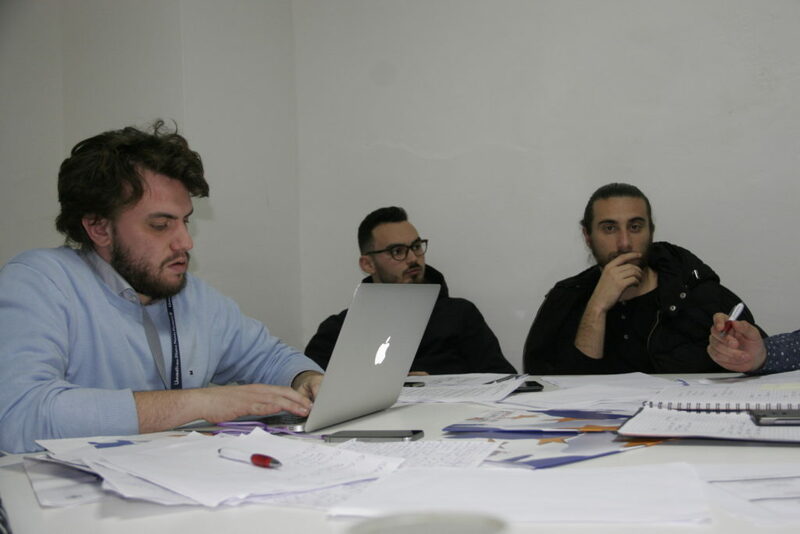 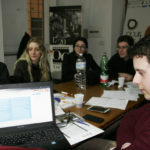 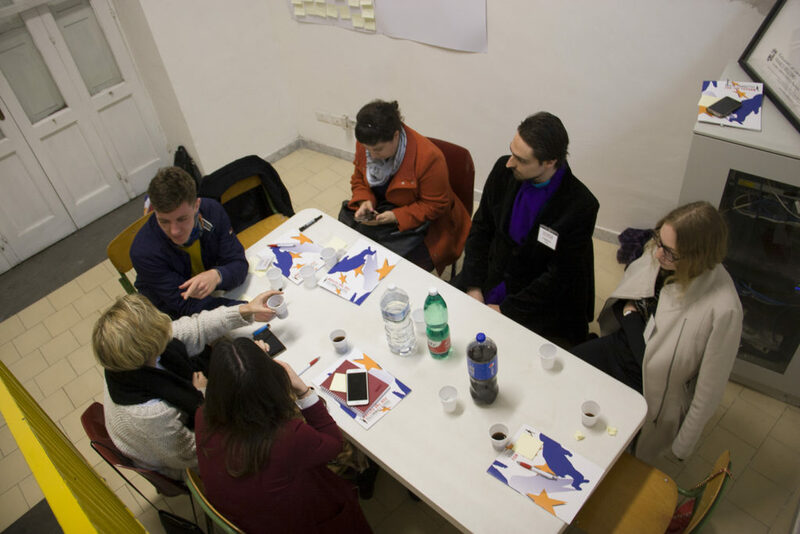 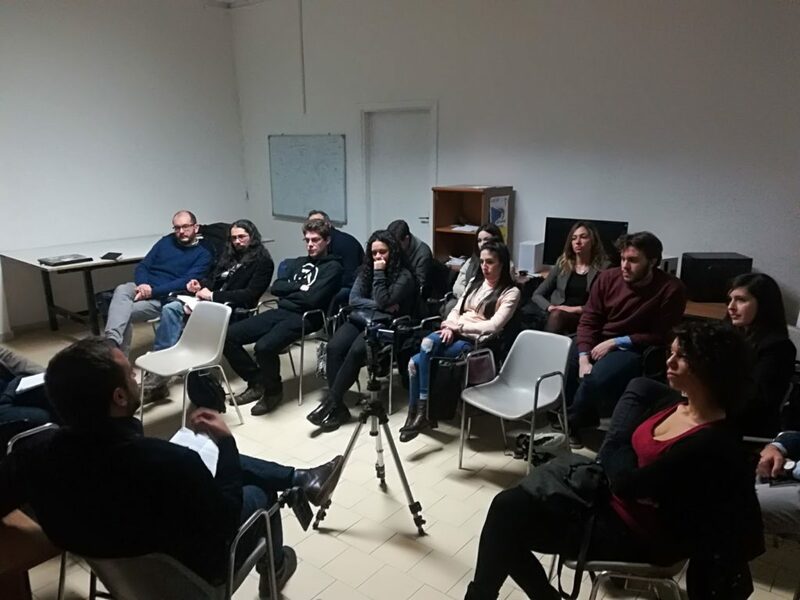 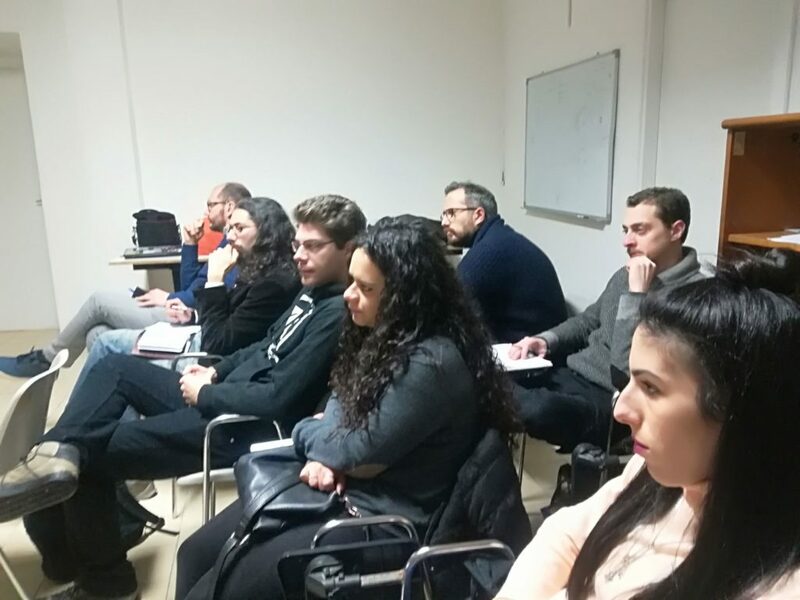 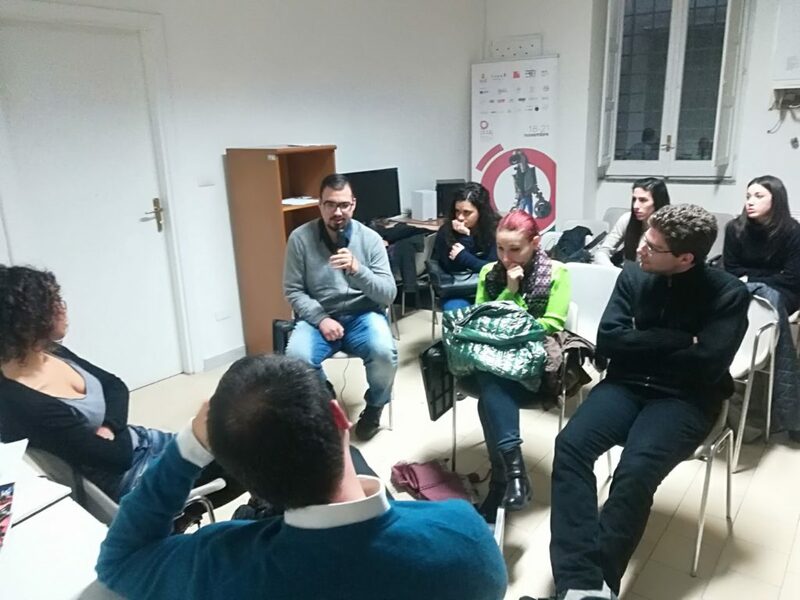 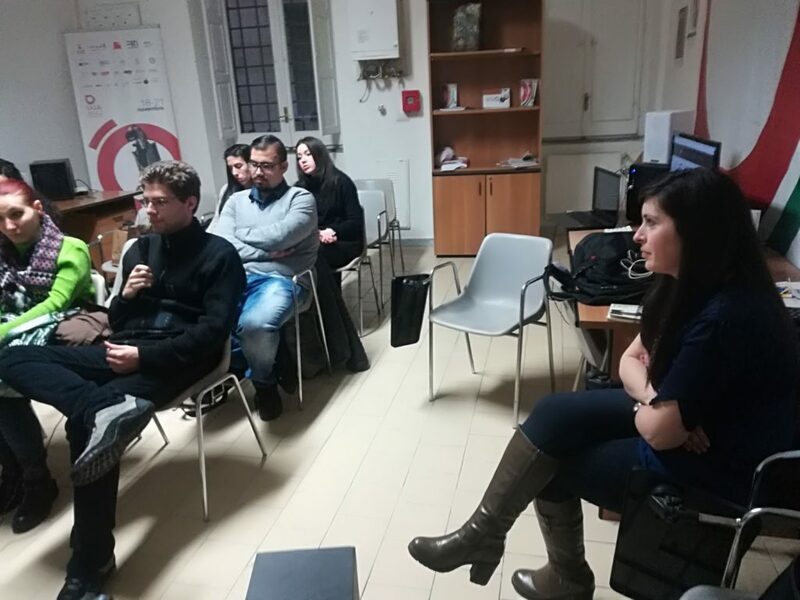 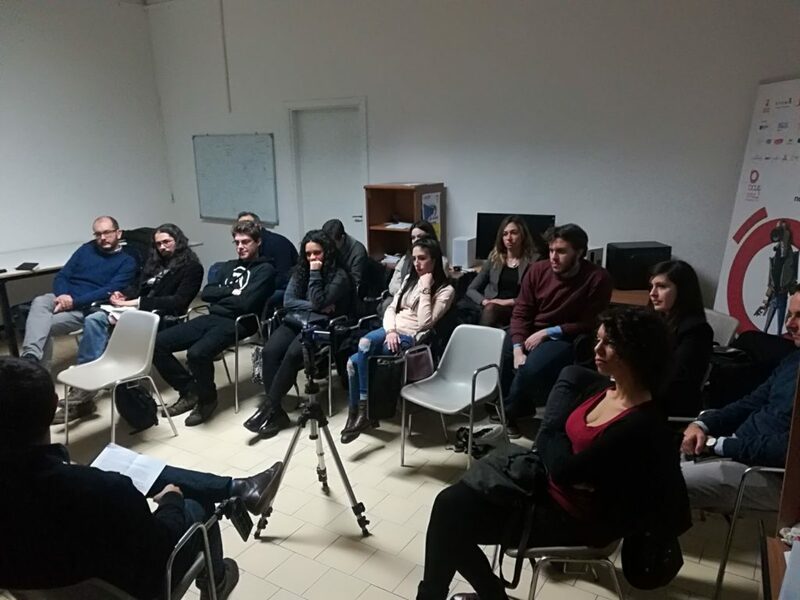 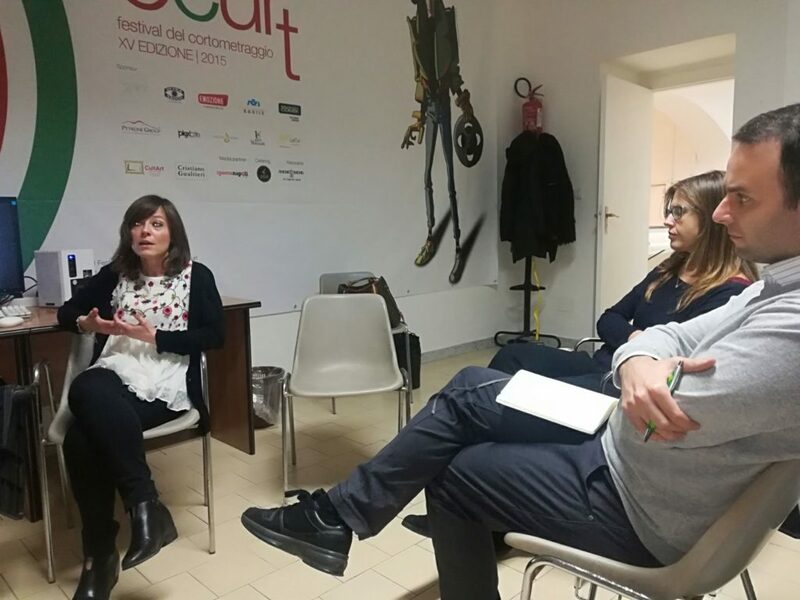 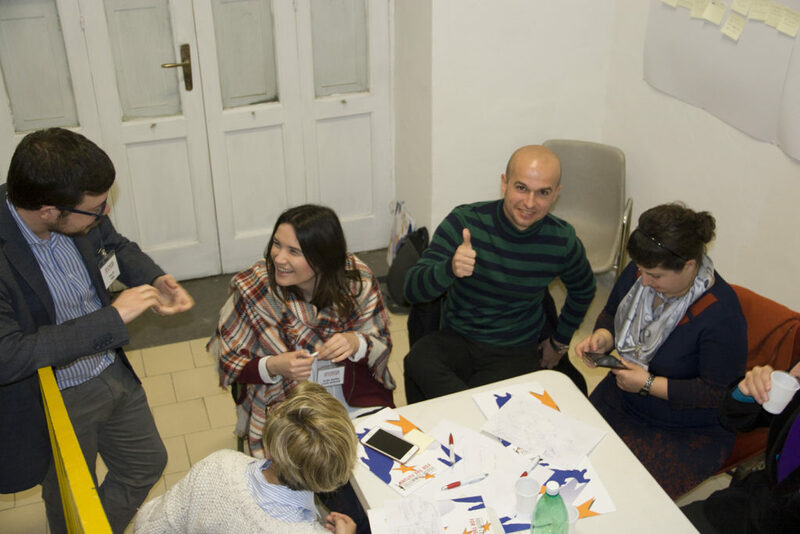 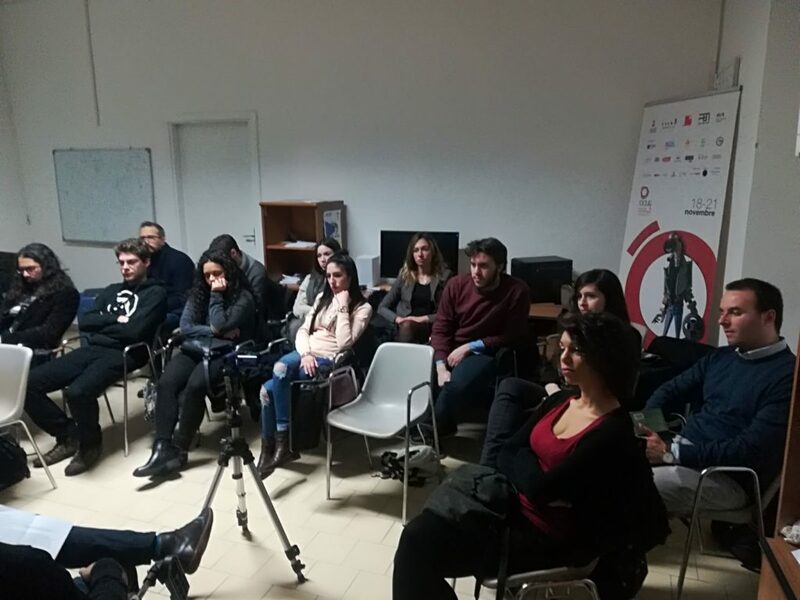 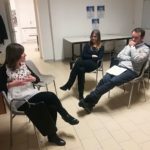 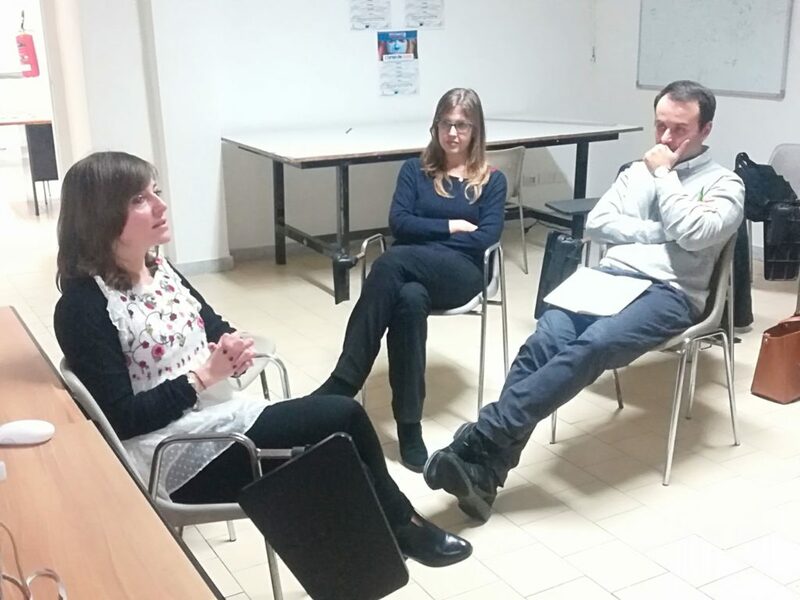 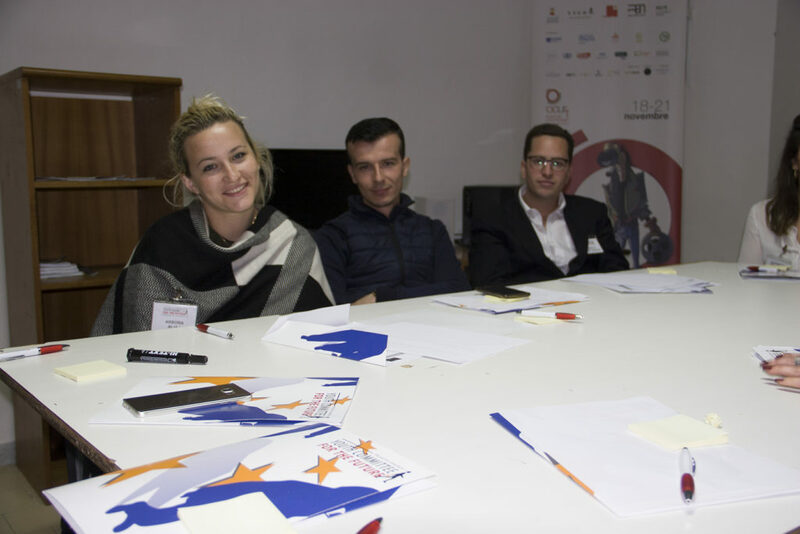 Before the final phase in Naples, each partner organization is committed to organize preparation meetings, together with local policy-makers in charge in youth and European policies during. 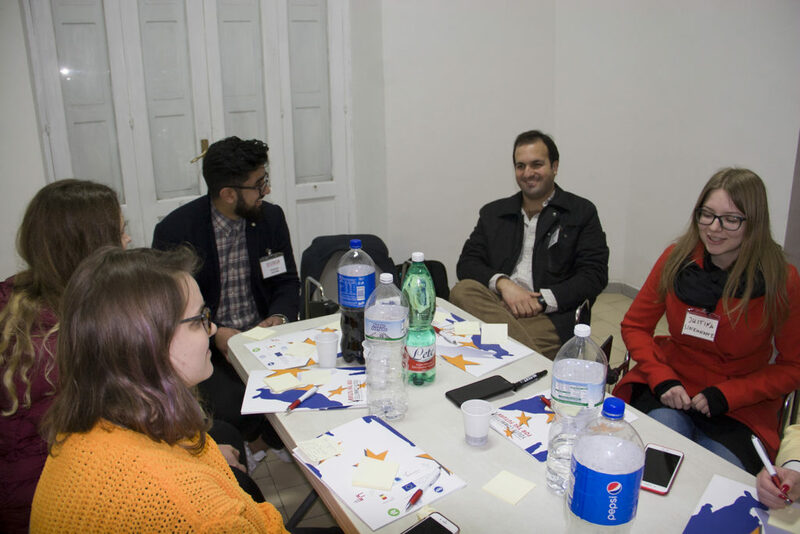 The role of policy-makers in this part of the project is fundamental to allow the participants to discuss with them on the topics of the simulation and to understand in which way these problems are addressed in their own countries. 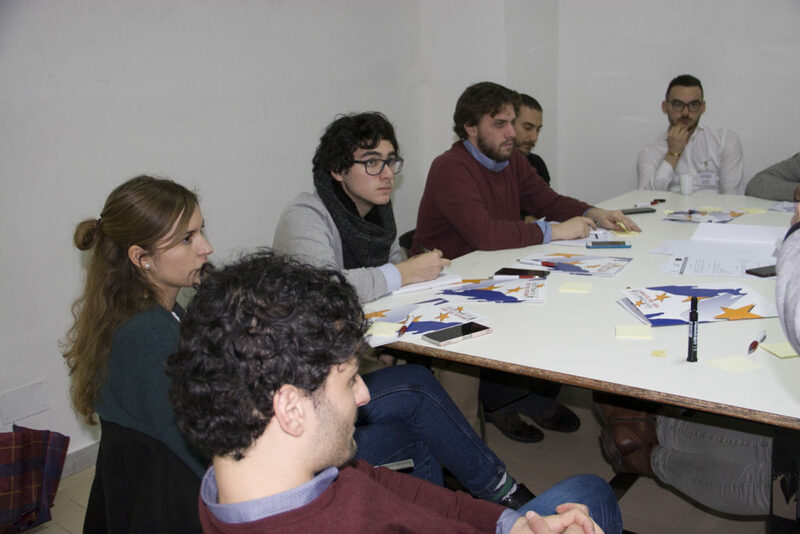 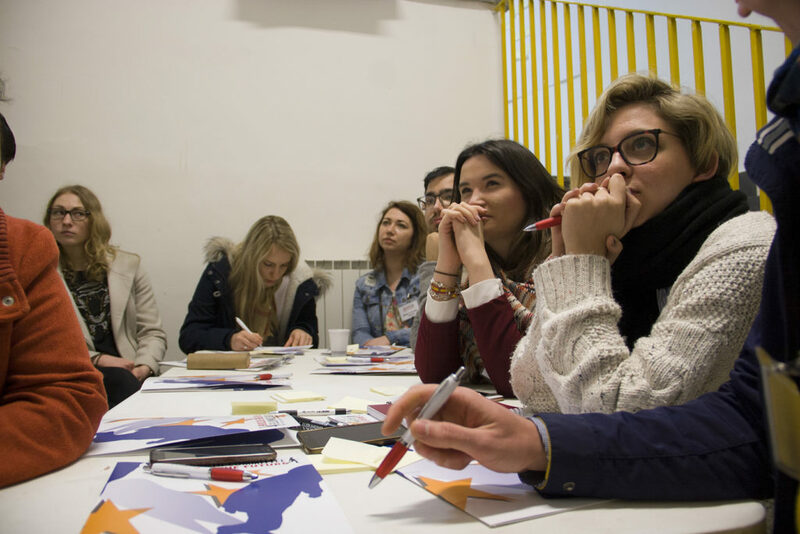 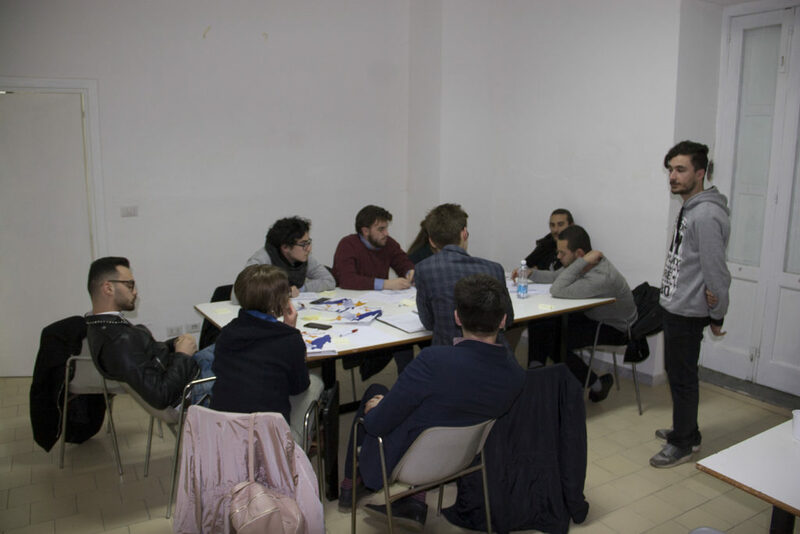 During the simulation, participants will discuss their ideas with local policy-makers in charge of youth and European policies, coming from the City of Naples and the Campania Region. 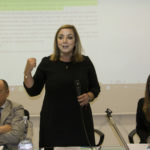 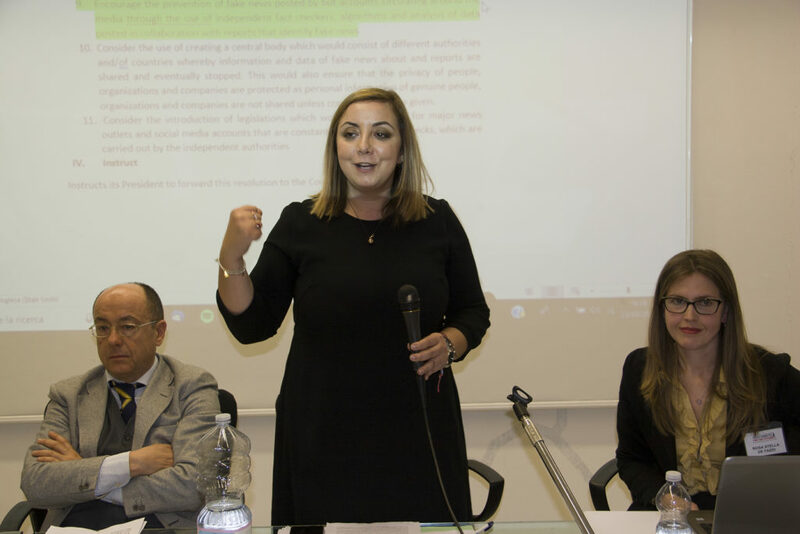 Italian and international MEPs will be also involved, with the aim of increasing the awareness of the role that decision-making bodies like a parliamentary committee for the future could play within the European one. 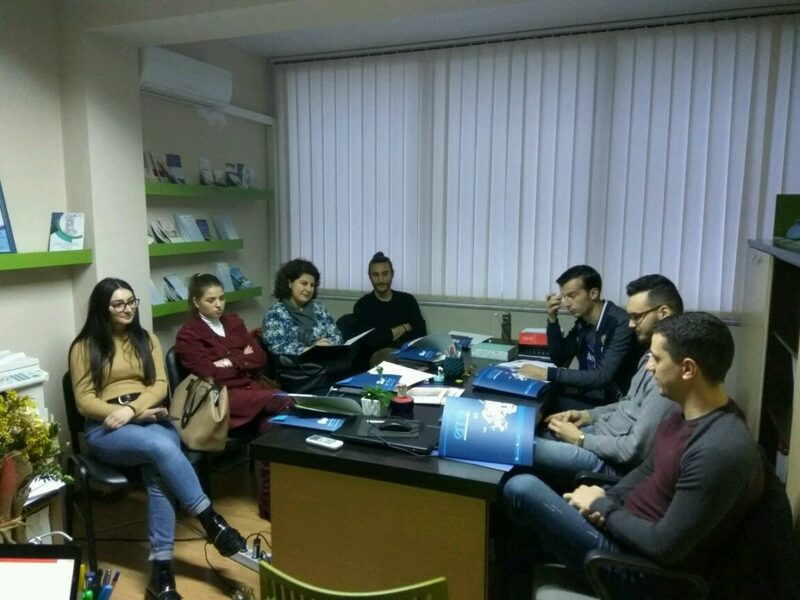 Our project aims to increase among participants awareness and knowledge of key emerging trends, possible future scenarios and the social consequences related to complex phenomena. 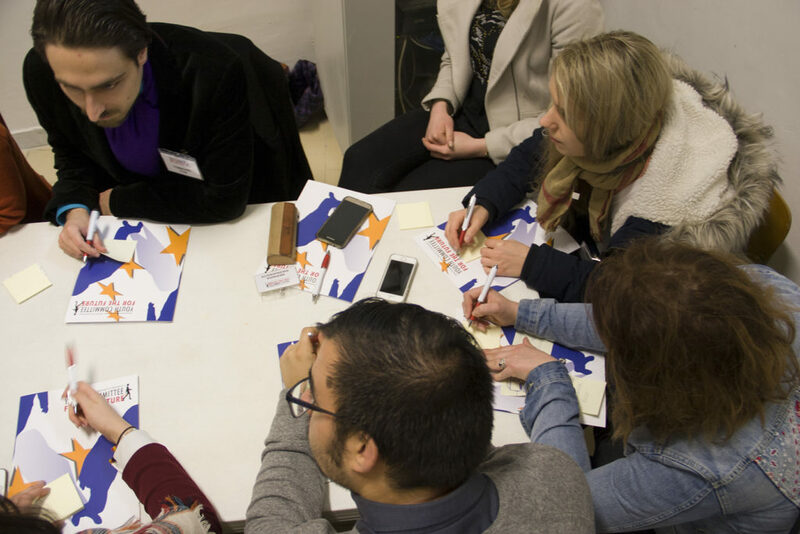 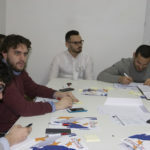 At the same time, participants will acquire the skills necessary to propose solutions to these problems and will be able to identify ways to implement their proposals at the political level. 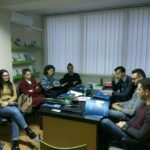 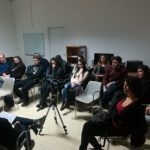 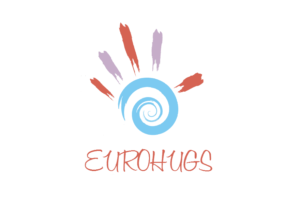 This projects is funded within the Erasmus+ programme Key Action 3: Support for policy reform (grant 2017-2-IT03-KA347-011836). 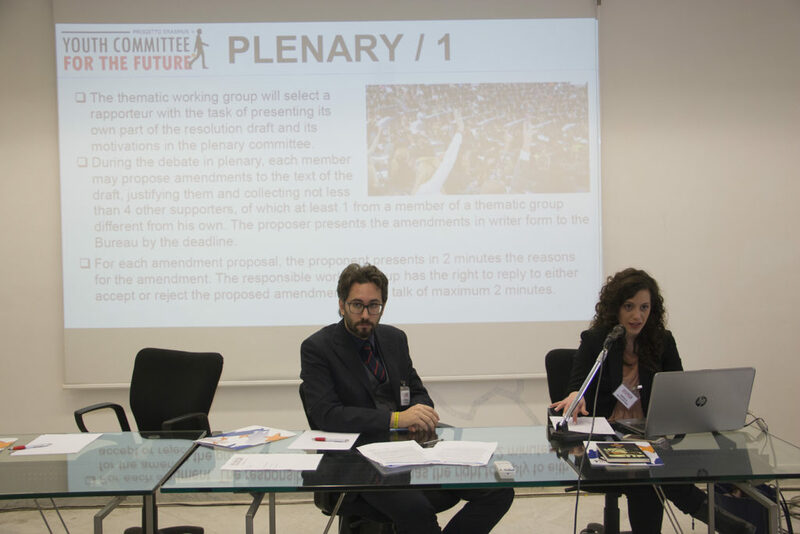 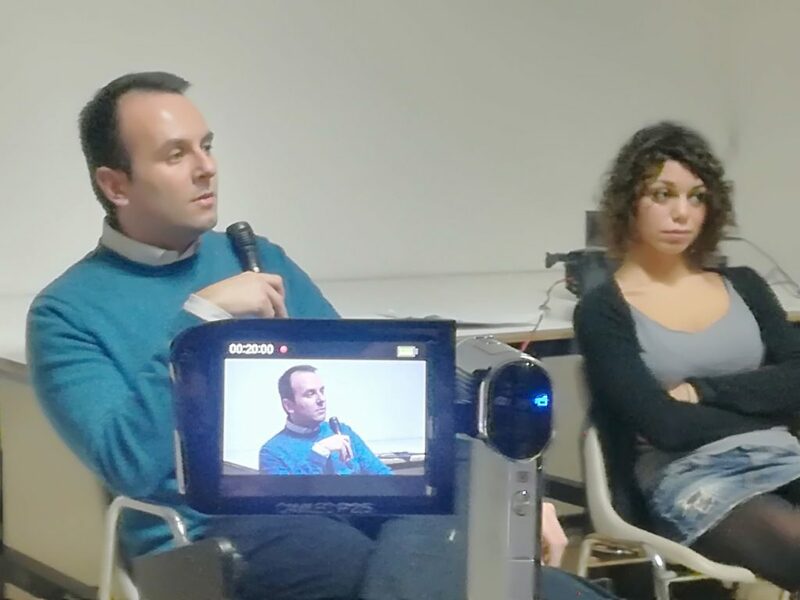 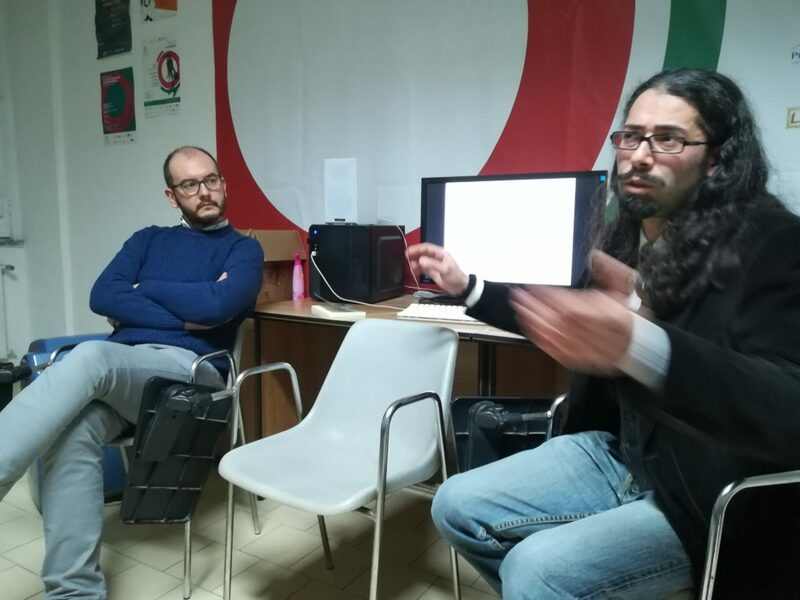 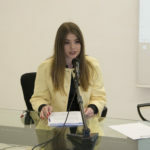 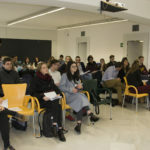 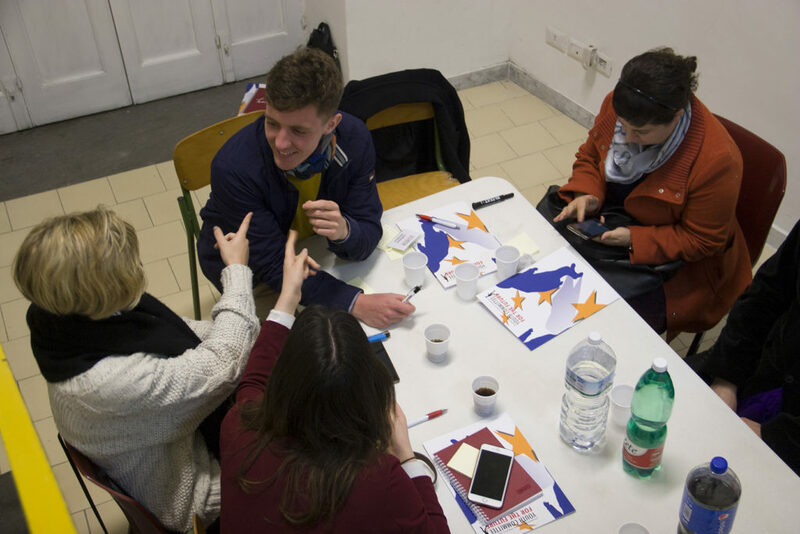 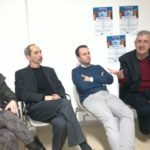 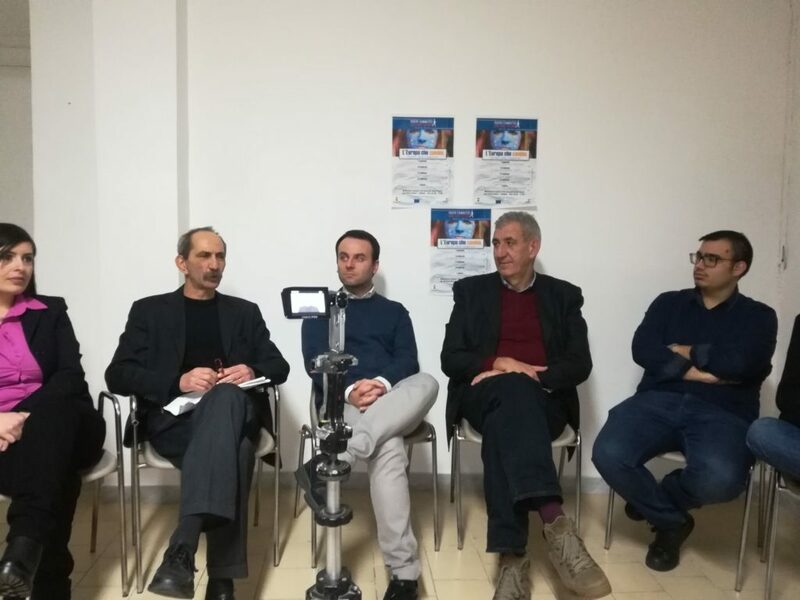 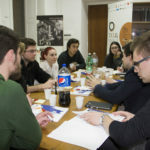 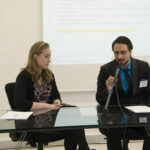 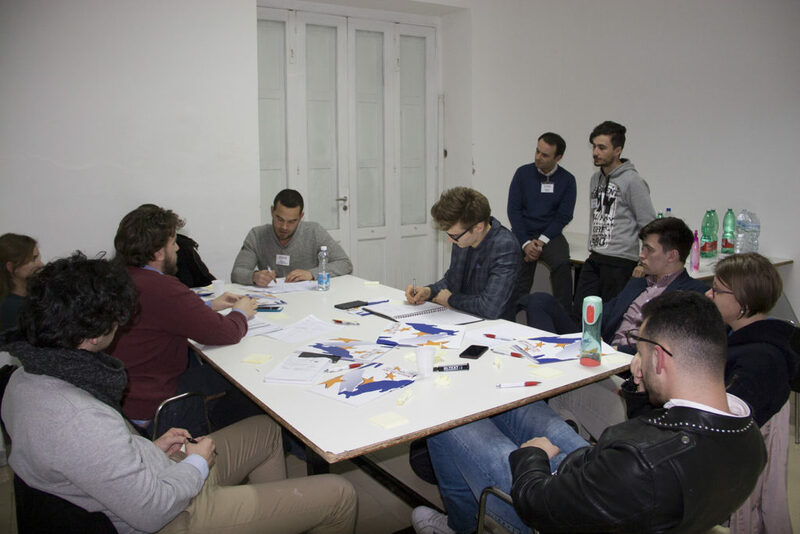 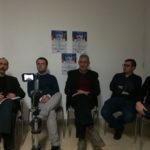 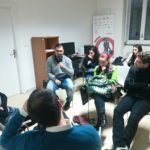 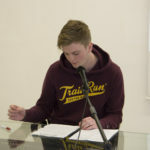 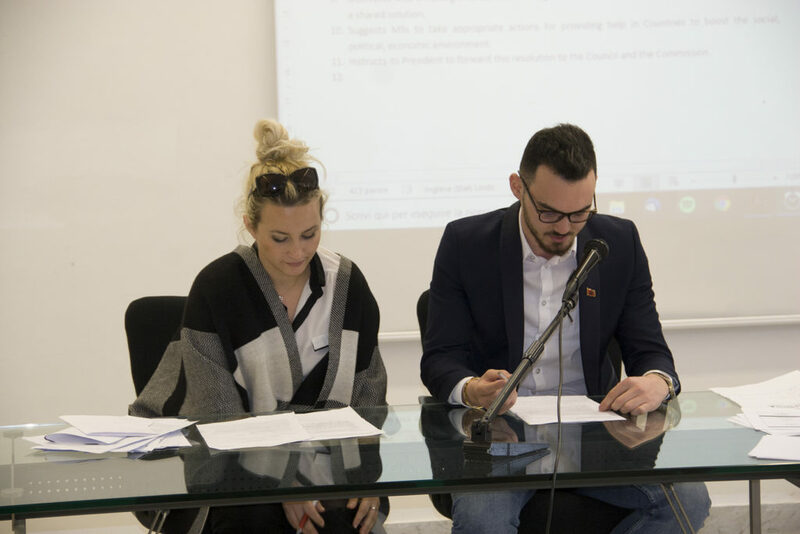 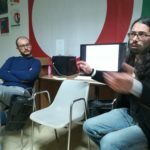 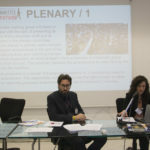 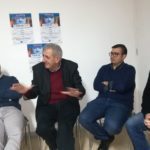 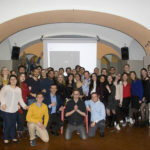 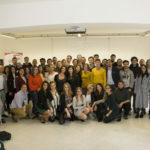 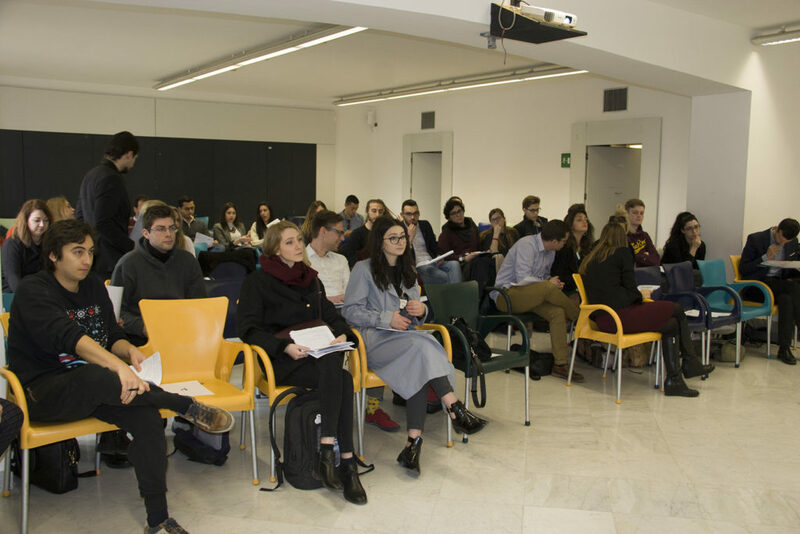 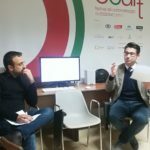 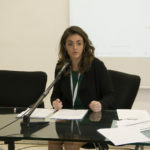 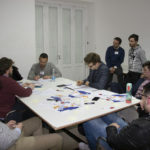 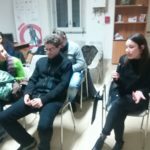 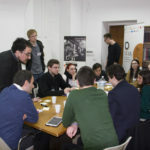 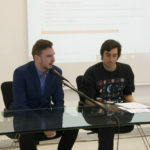 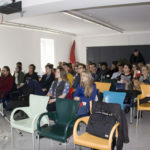 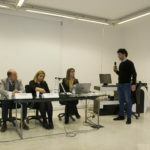 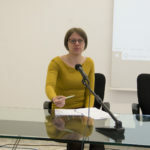 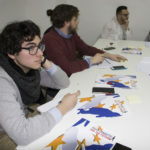 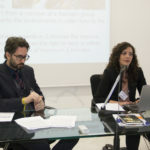 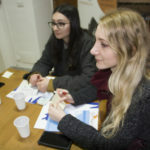 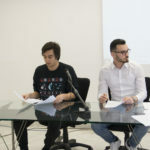 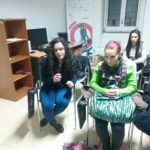 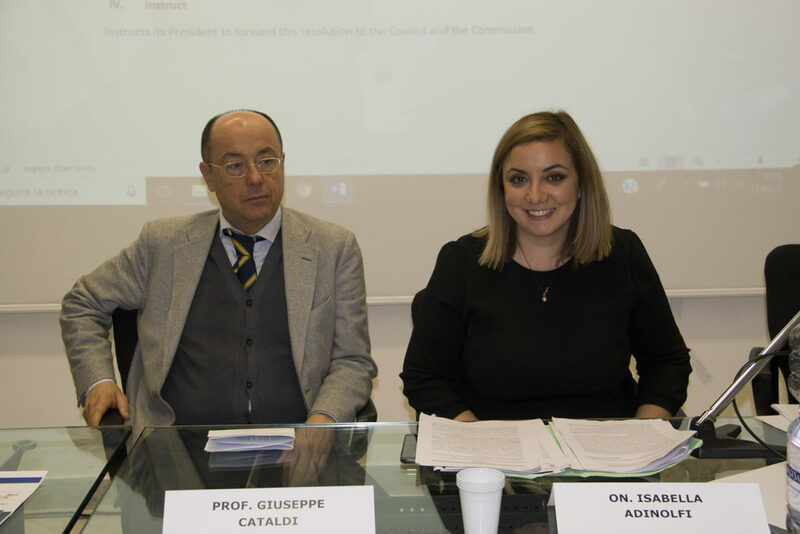 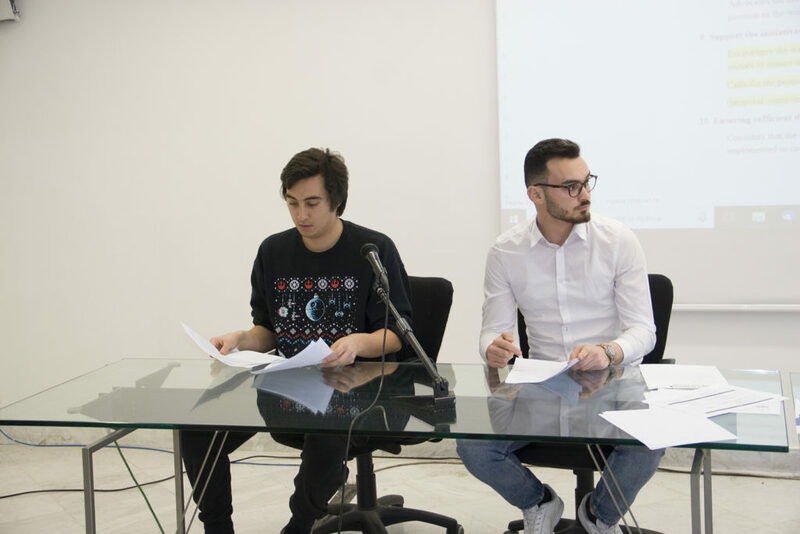 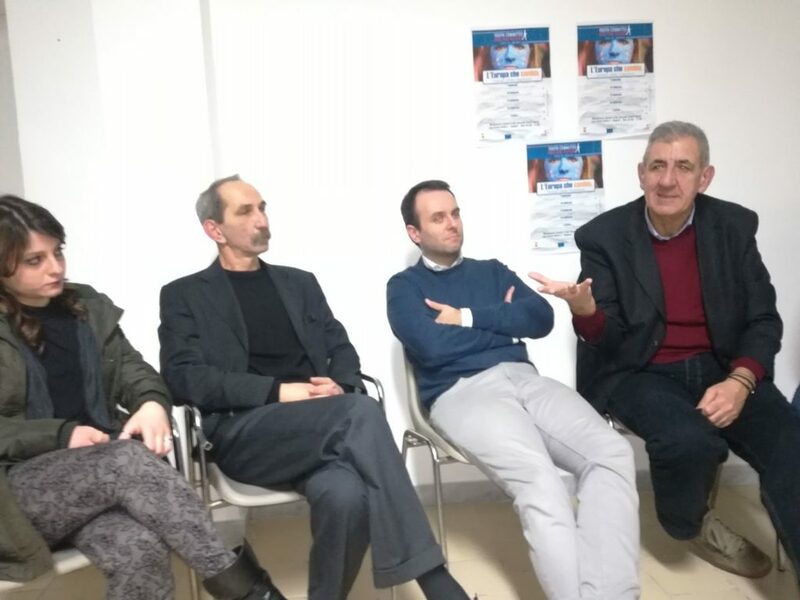 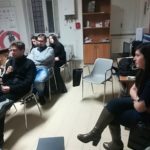 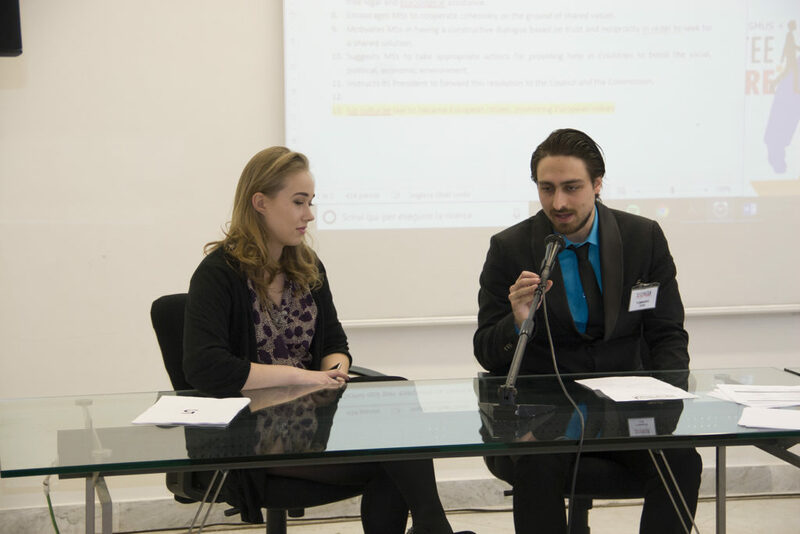 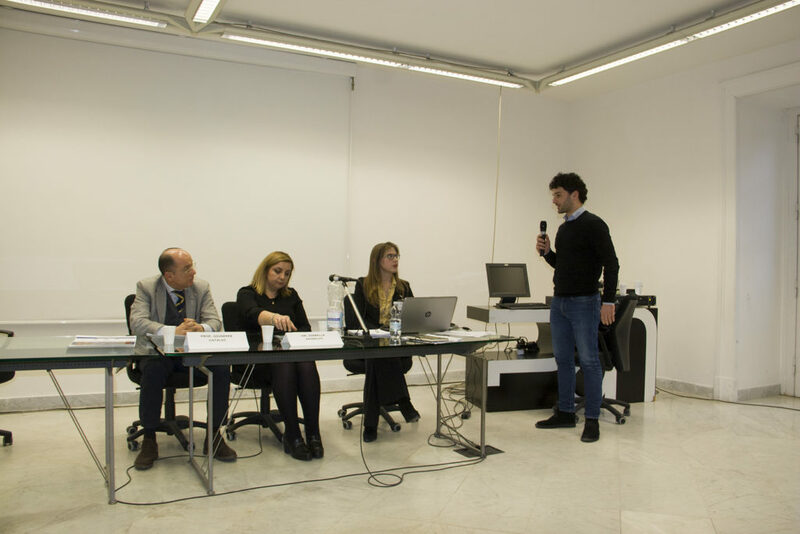 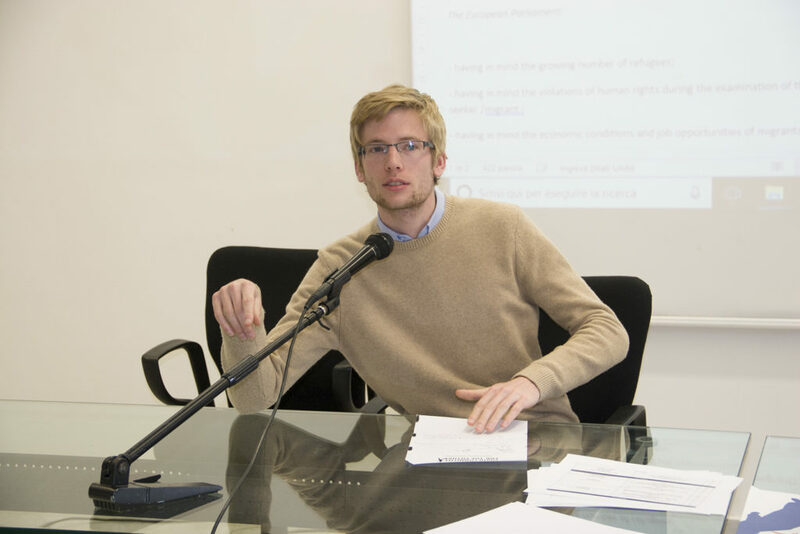 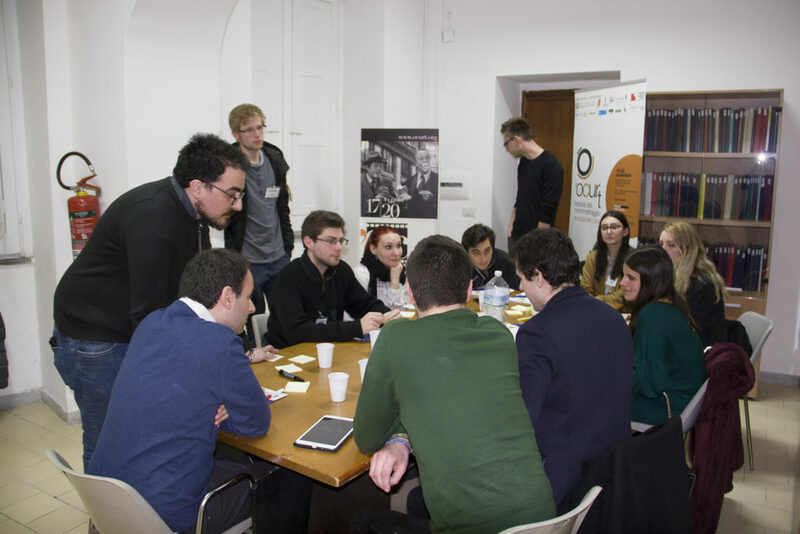 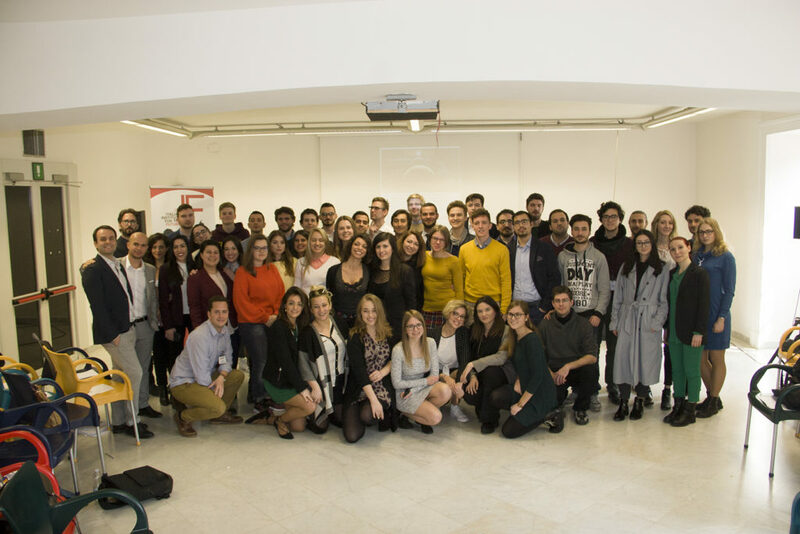 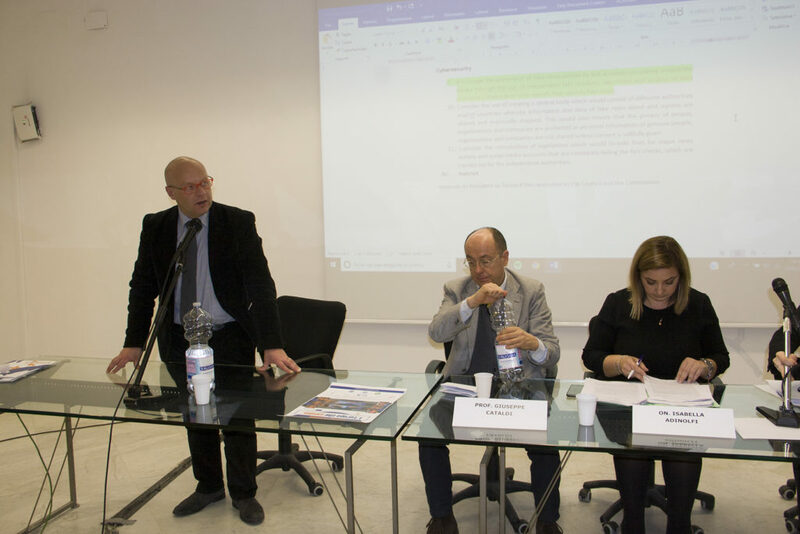 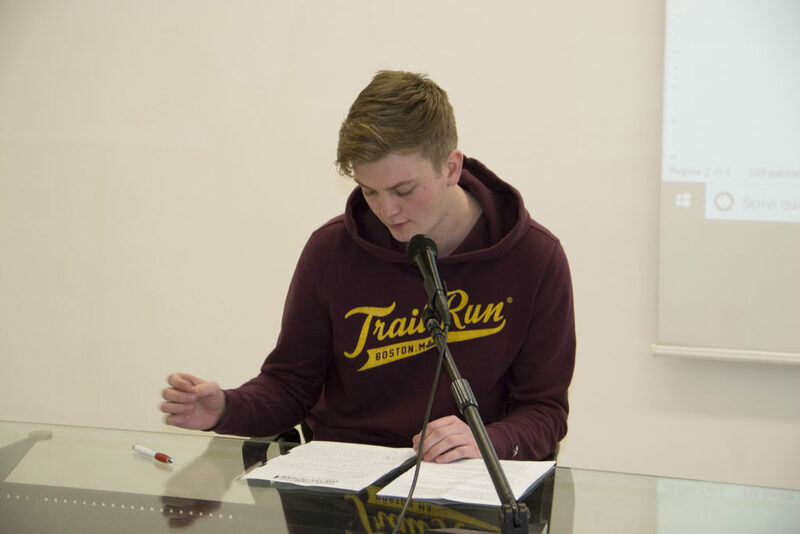 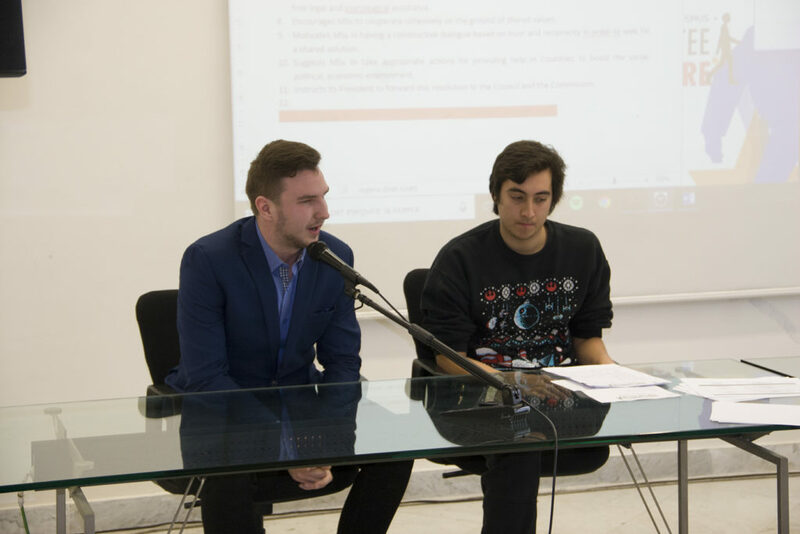 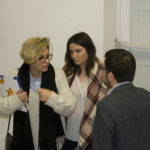 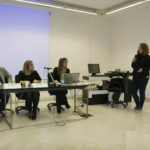 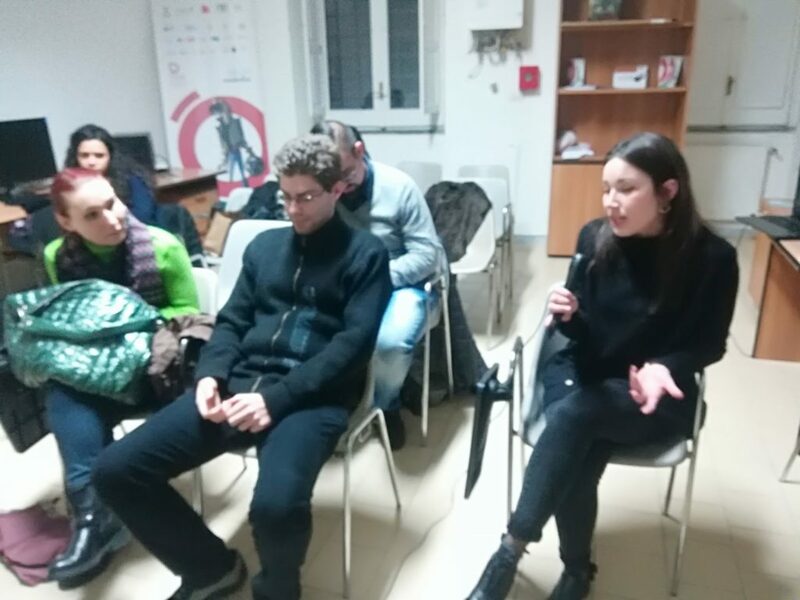 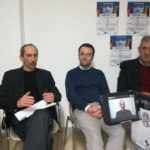 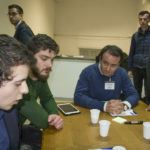 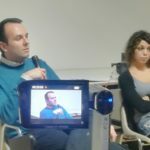 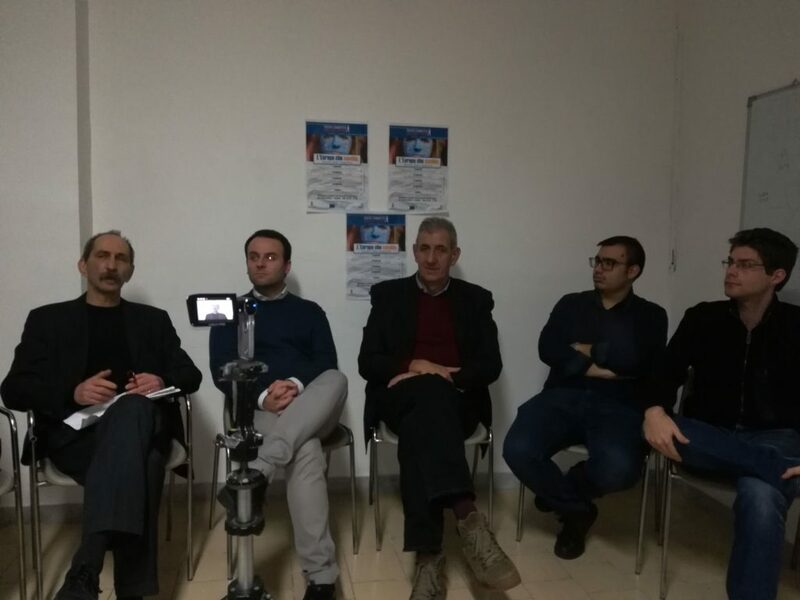 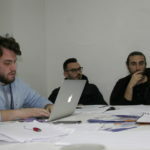 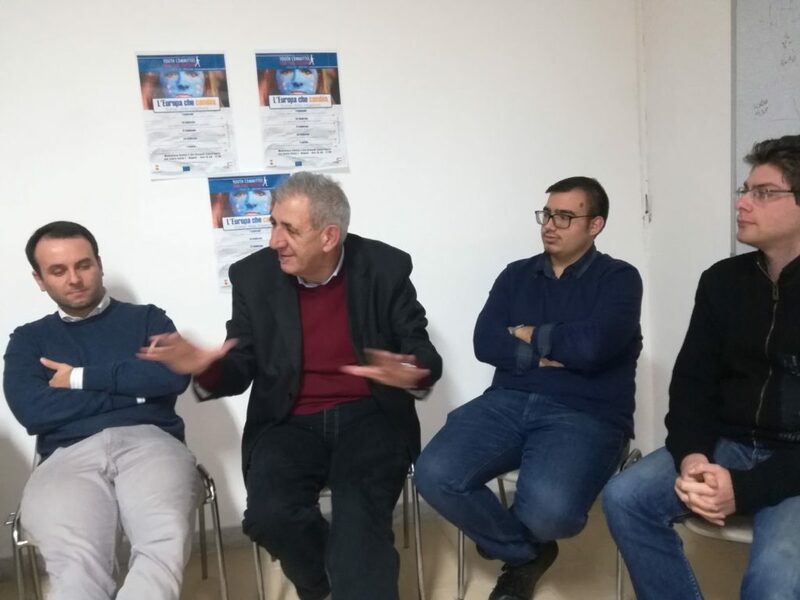 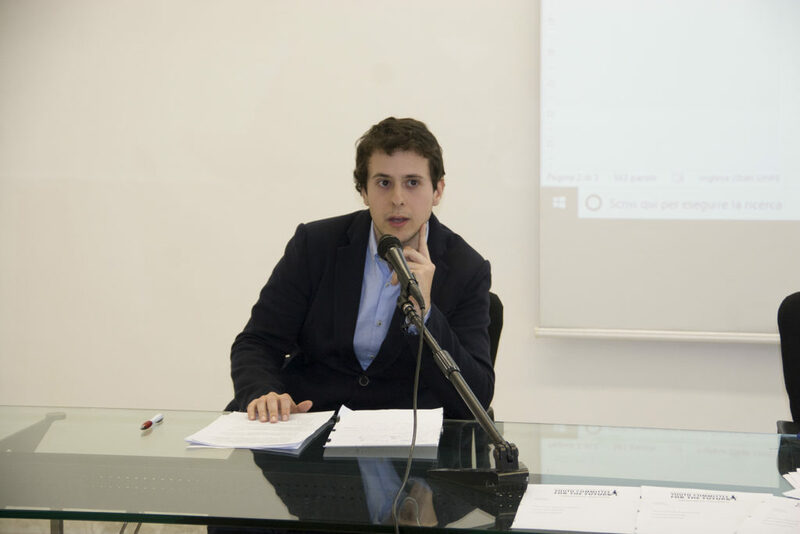 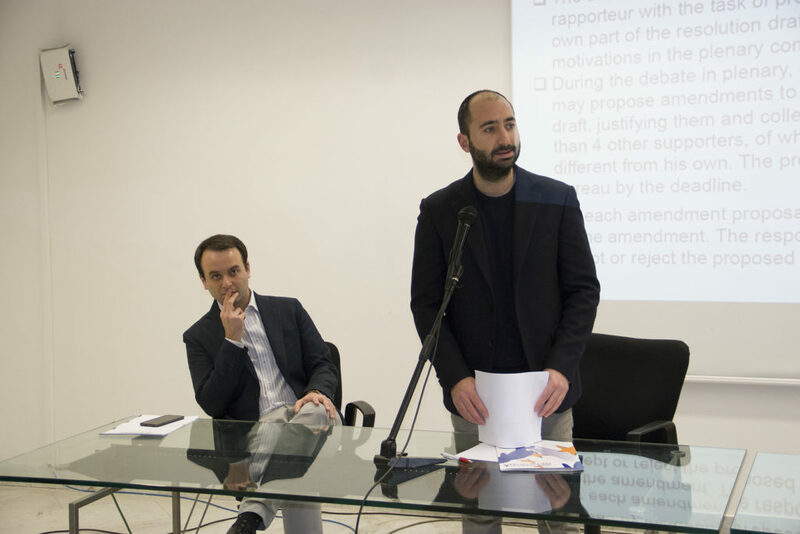 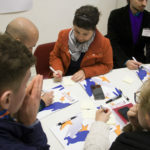 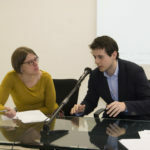 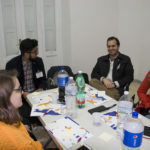 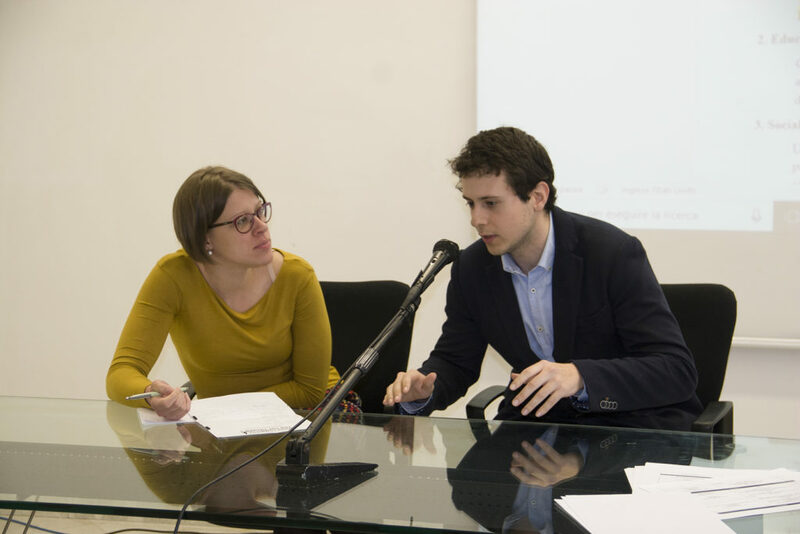 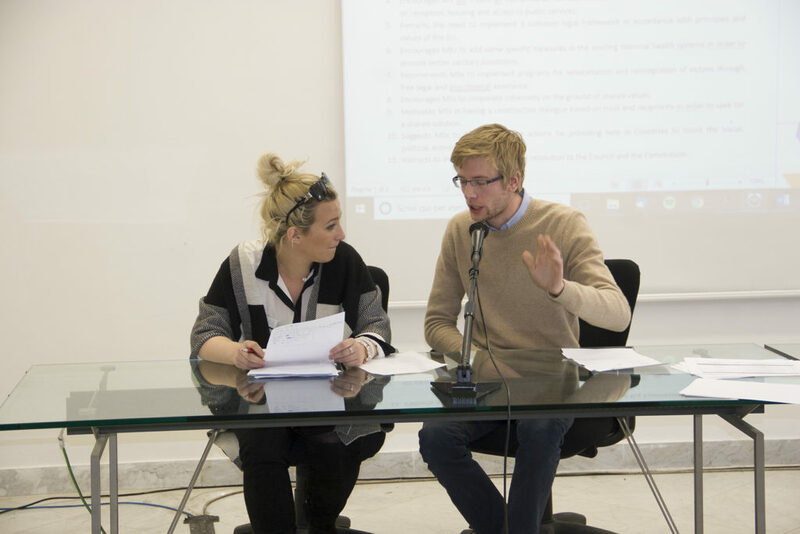 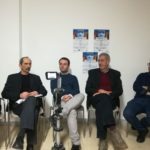 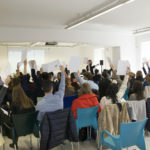 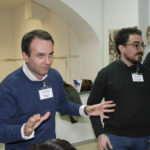 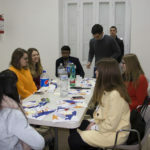 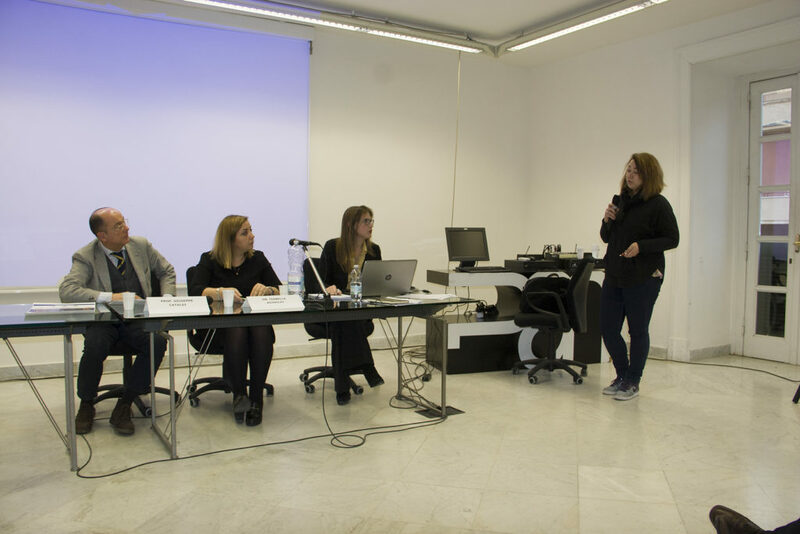 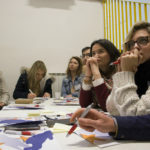 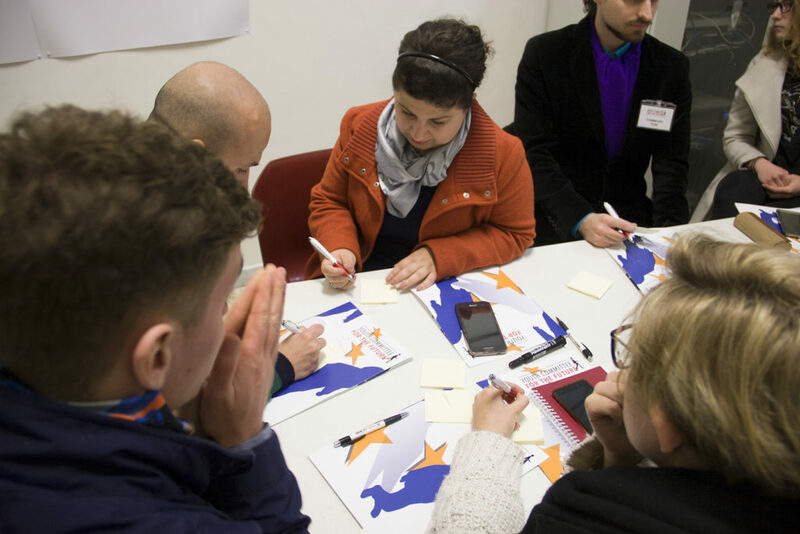 During the plenary session in Naples (March 23), the 50 young participants discussed and voted the proposals in the form of a European Parliament’s resolution. 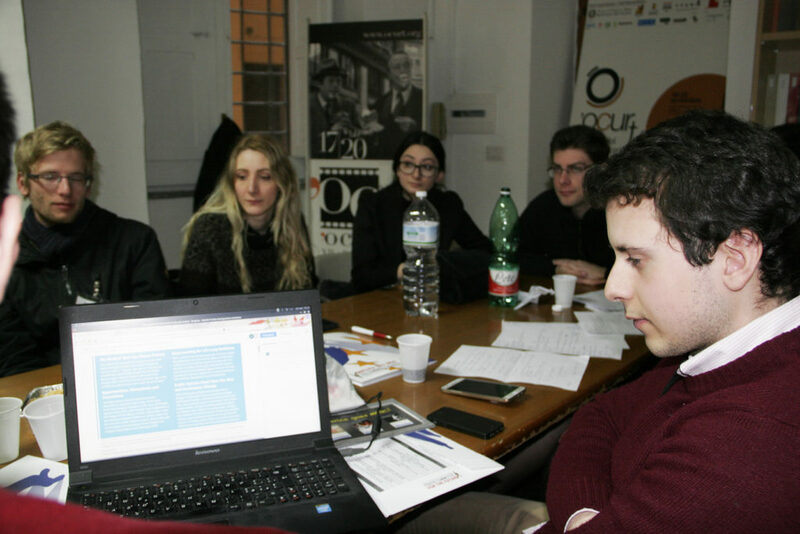 The proposal concern the challenges of workplace automation, digital society, future literacy, demographic change, migrations. 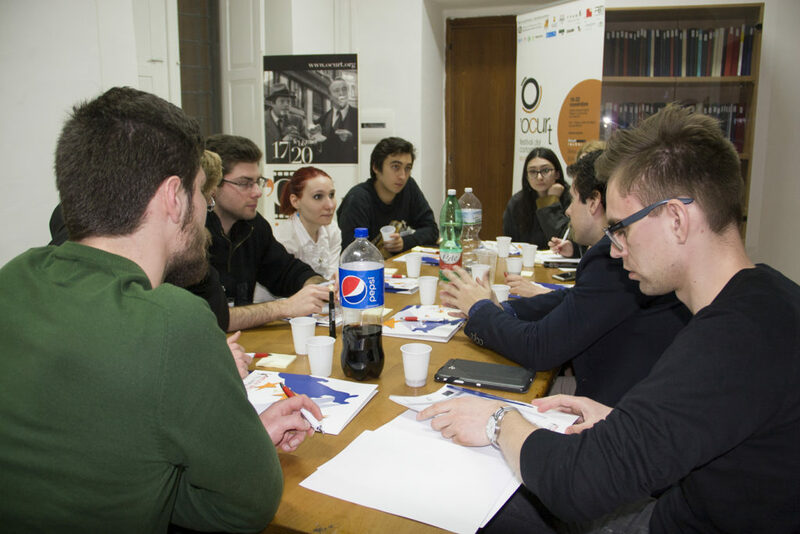 On Tuesday, March 20, participants will work in five thematic groups, one for each subject. 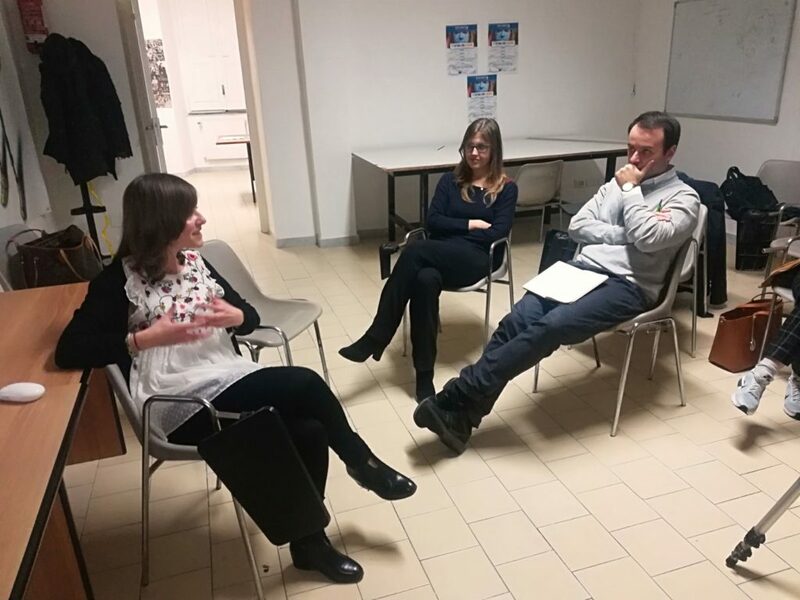 A chair will guide their work, using scenario-building methodologies and socratic method. 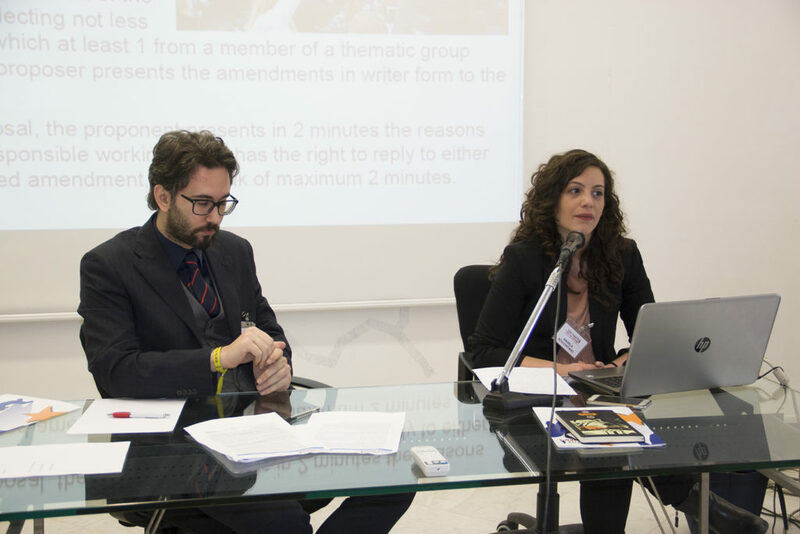 On Wednesday, March 23 each group will prepare a resolution draft for the plenary discussion. 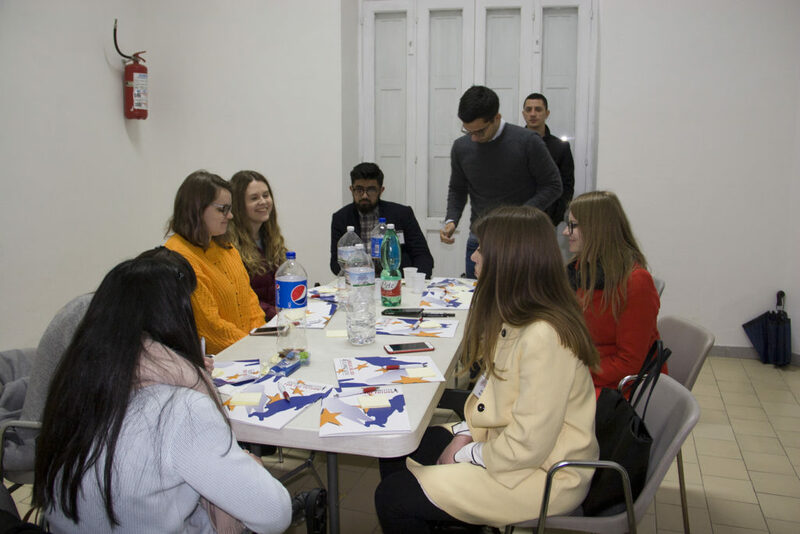 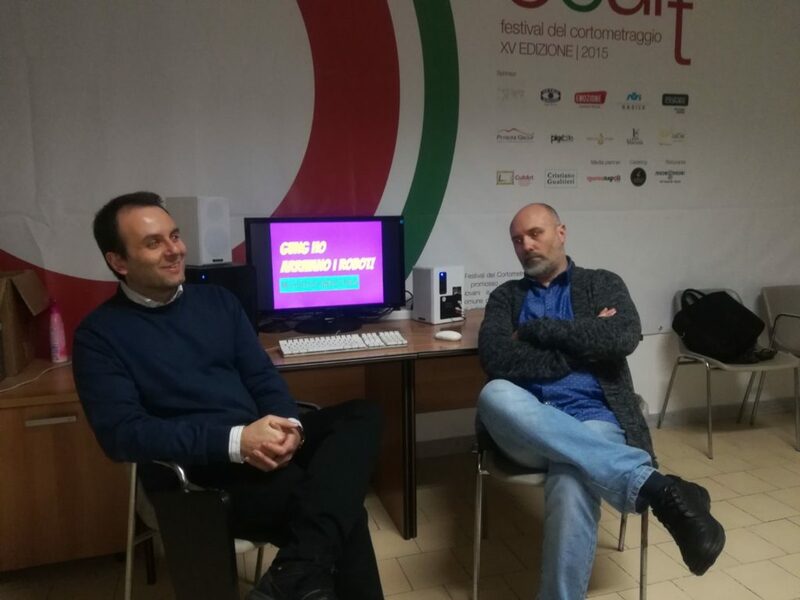 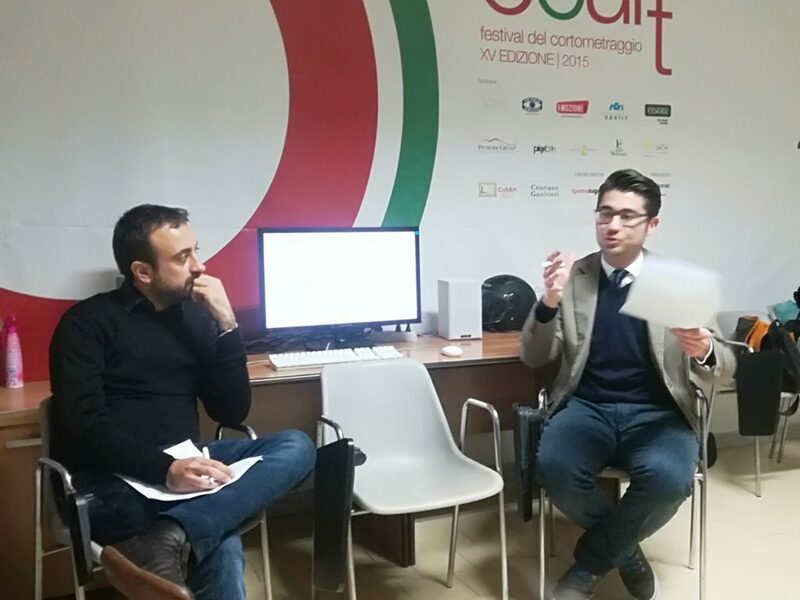 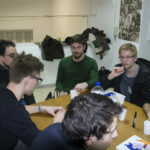 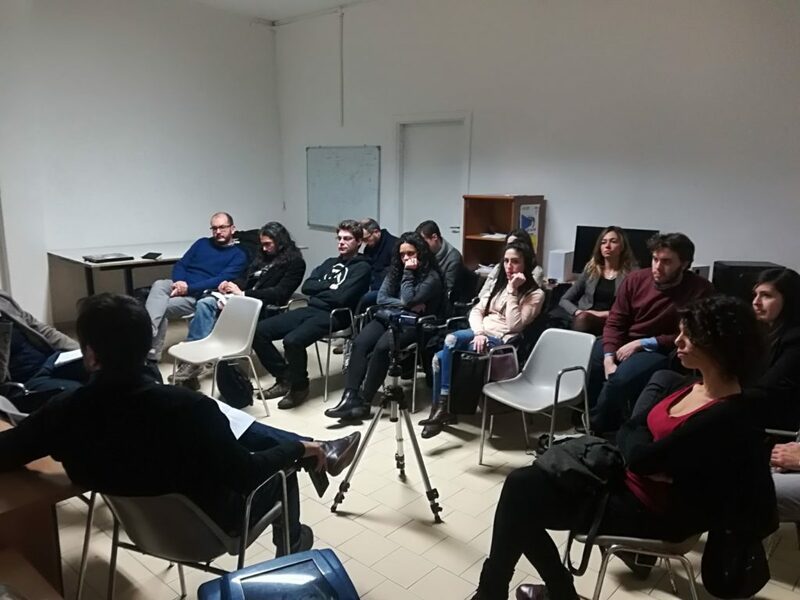 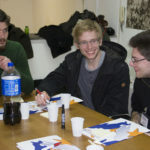 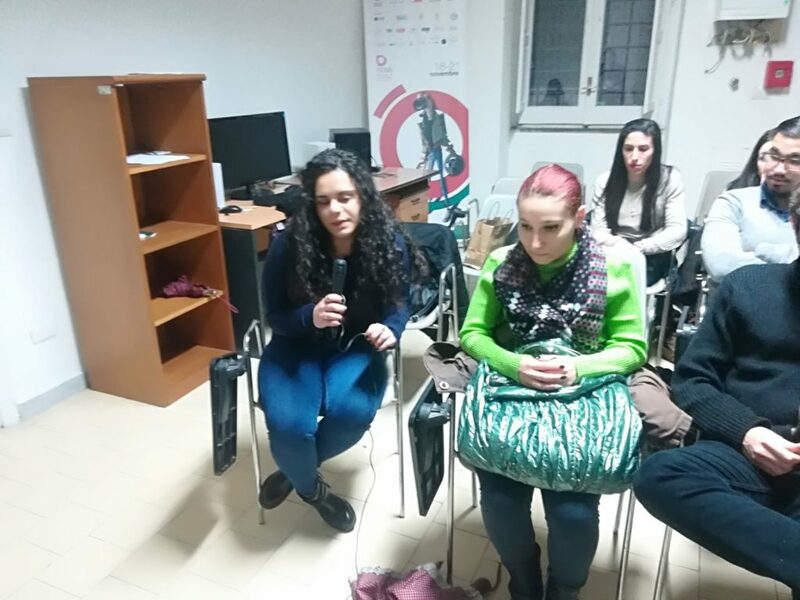 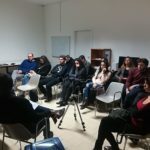 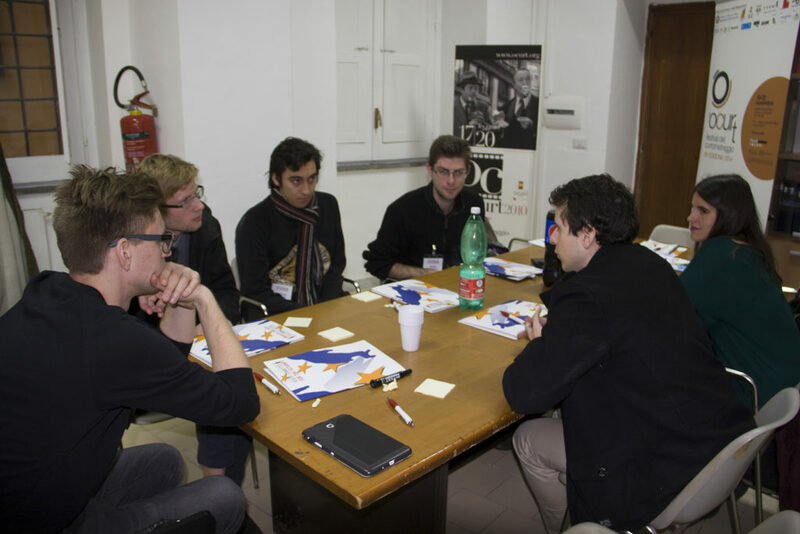 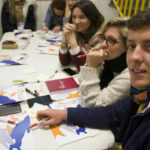 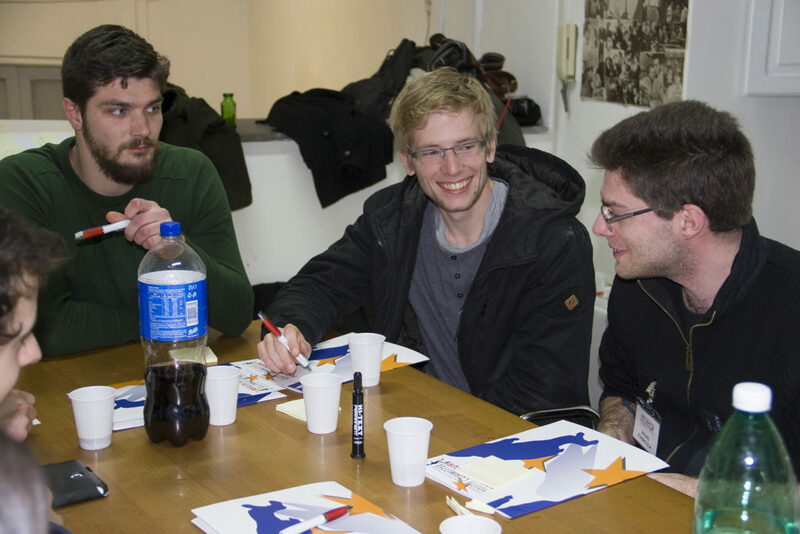 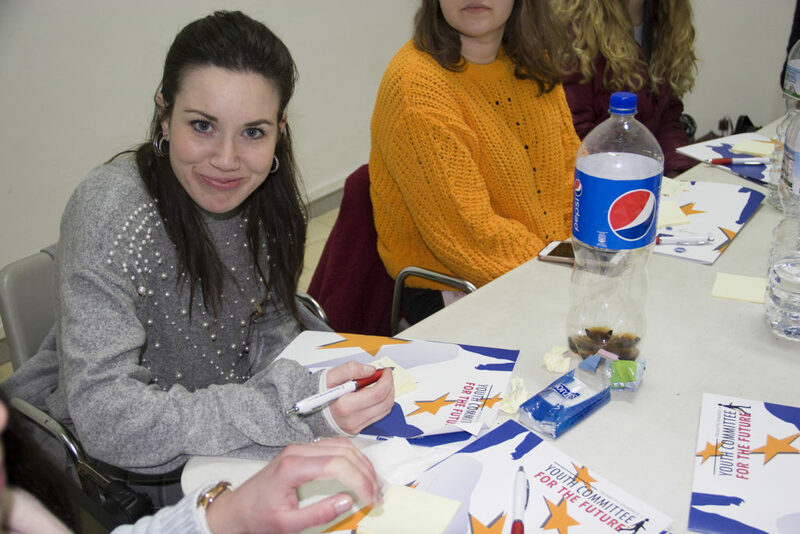 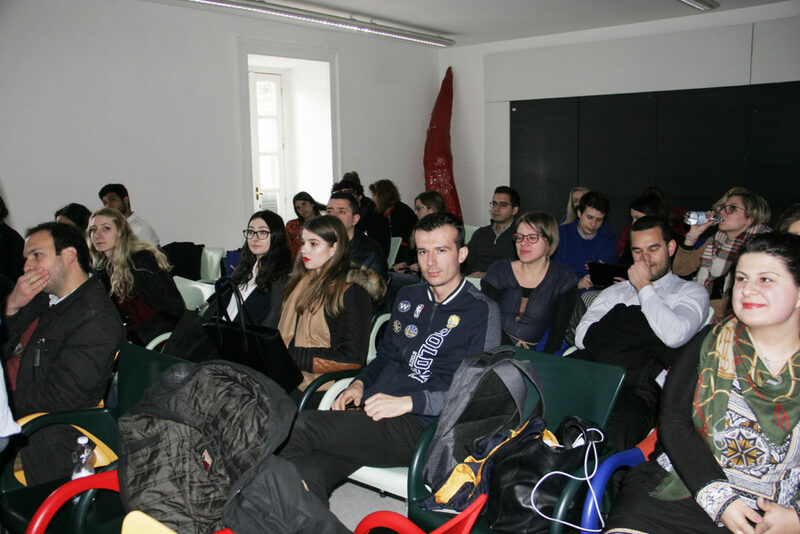 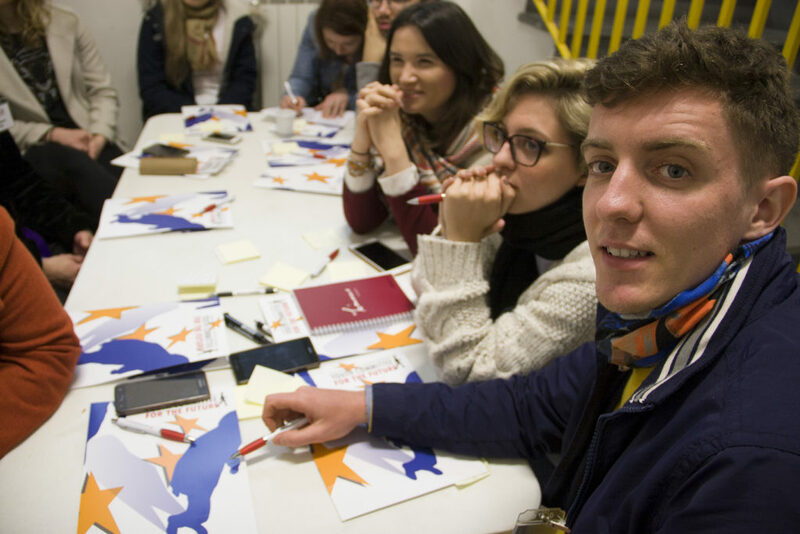 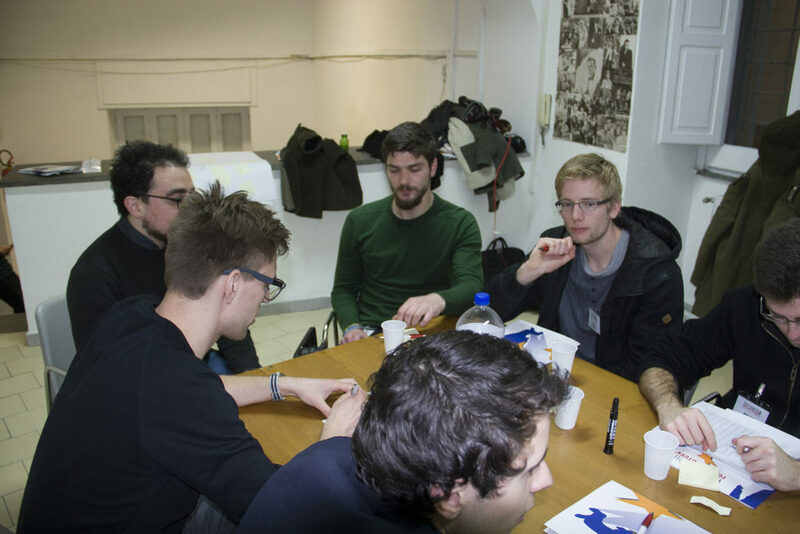 This activity is hosted at the Mediateca Civica e dei Giovani Santa Sofia, Napoli. 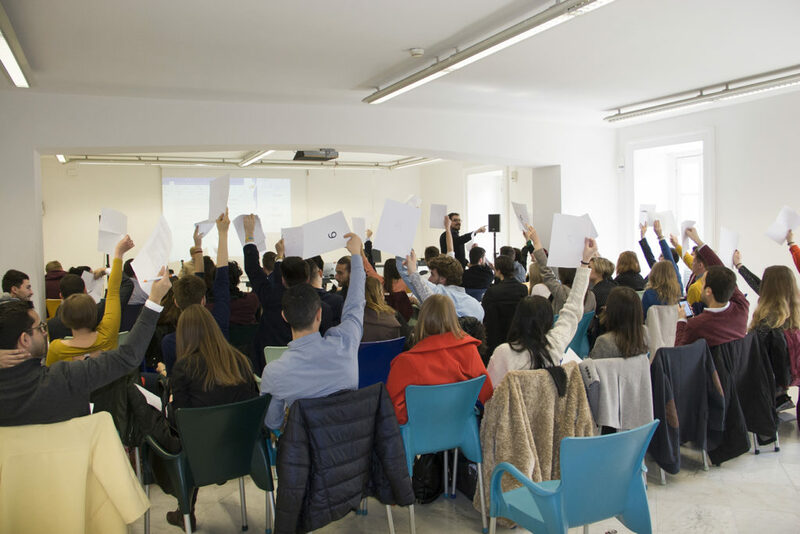 On Wednesday, March 21 there will be the hearing of selected experts on the project’s subjects and the question time with participants. 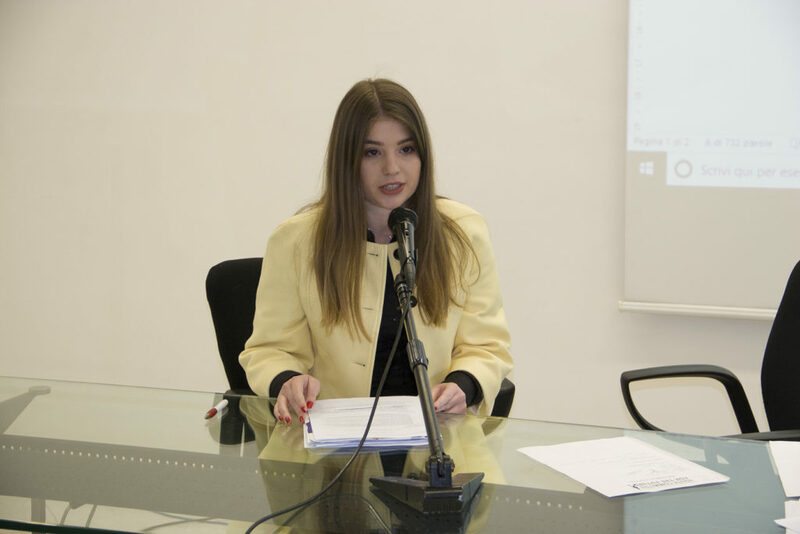 Other hearings will be organized in the morning of the following day. 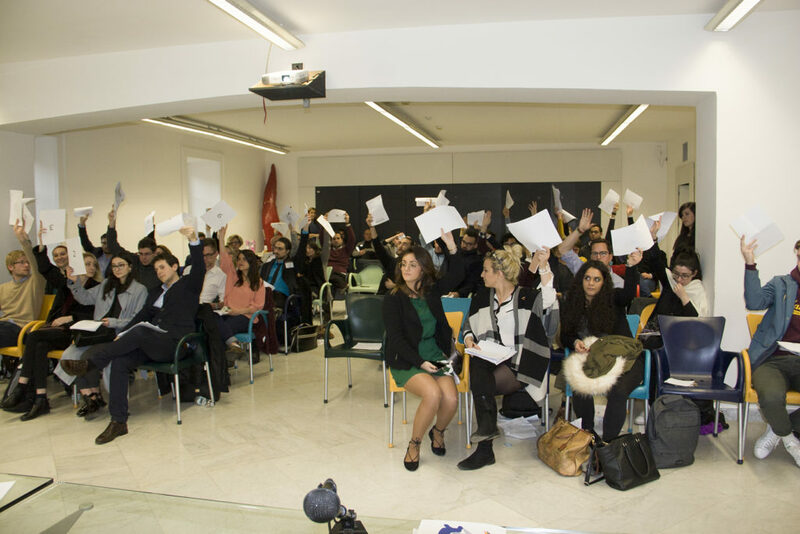 On Friday, March 23 the plenary session will discuss and vote the final resolution. 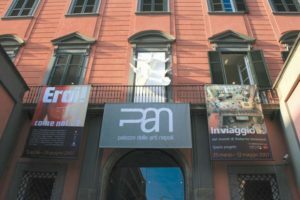 Plenary sessions are hosted at PAN – Palazzo delle Arti di Napoli, Di Stefano Hall. 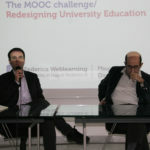 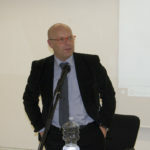 Mauro Calise is Professor of Political Science at the University of Naples Federico II, and former President of the Società Italiana di Scienza Politica (2008-10). 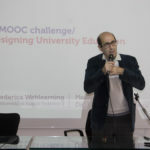 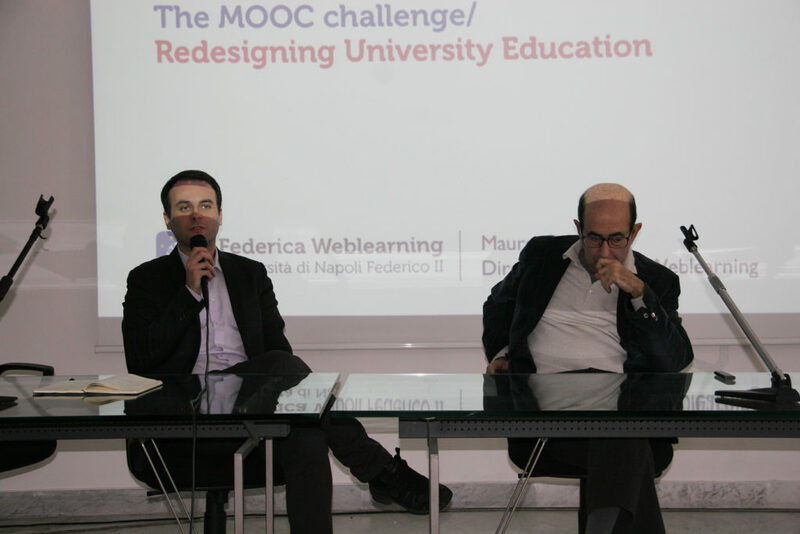 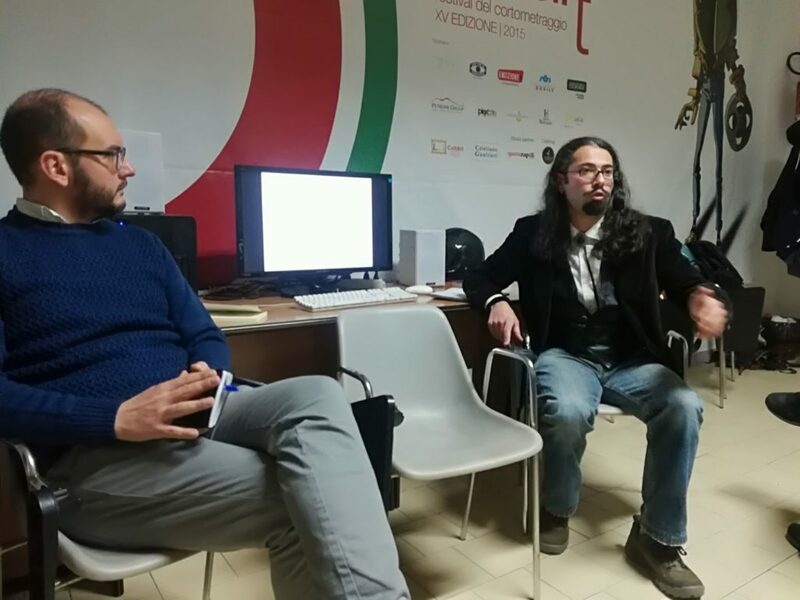 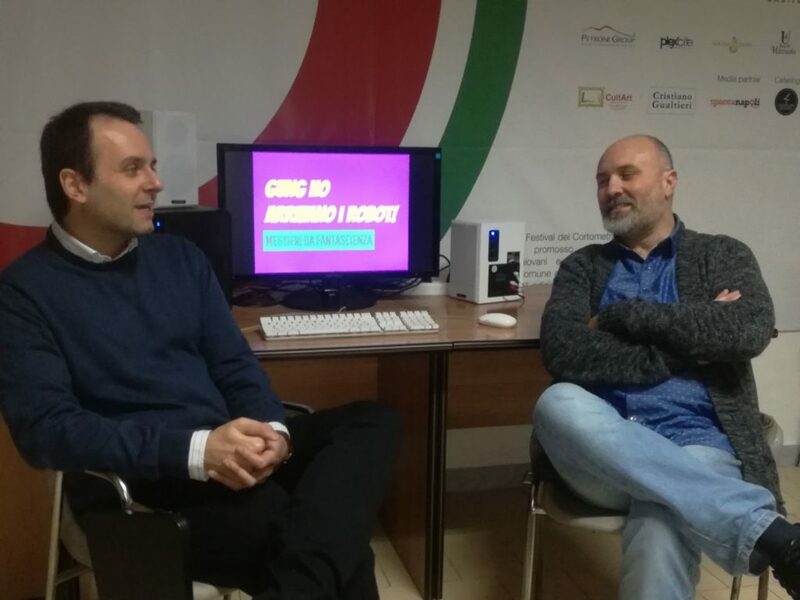 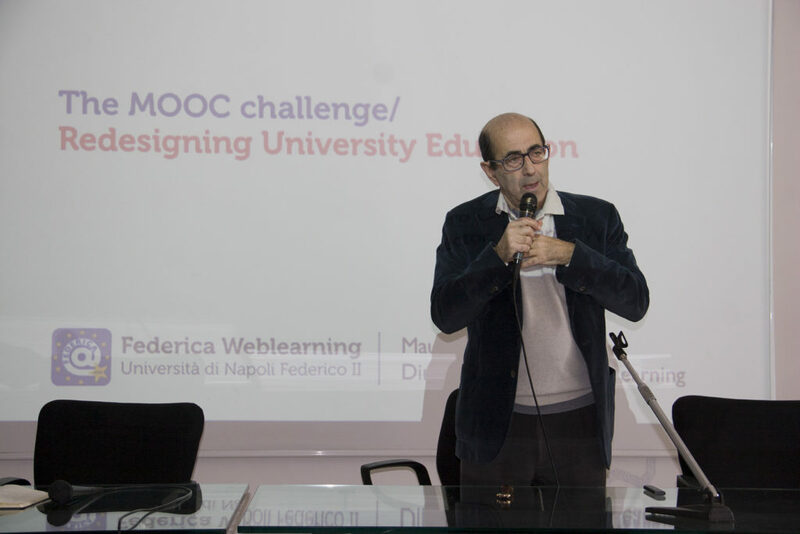 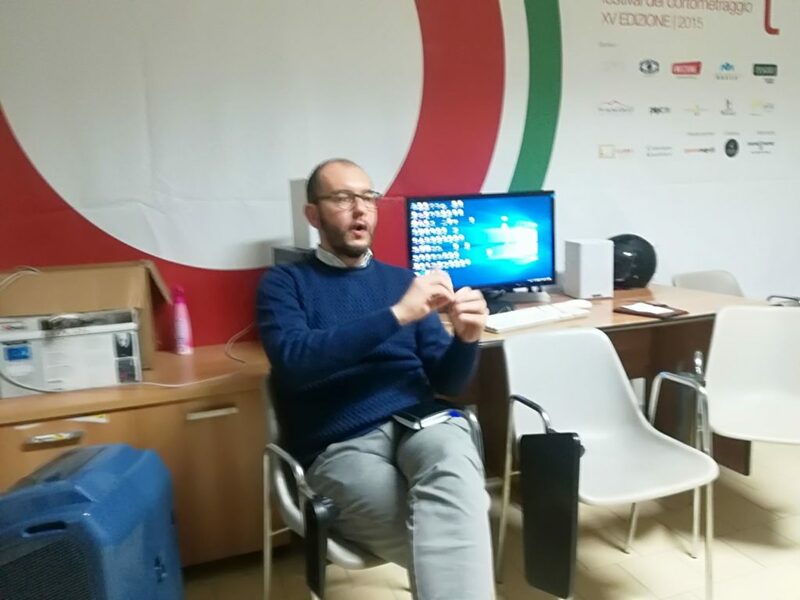 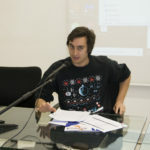 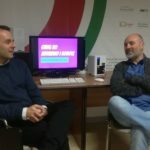 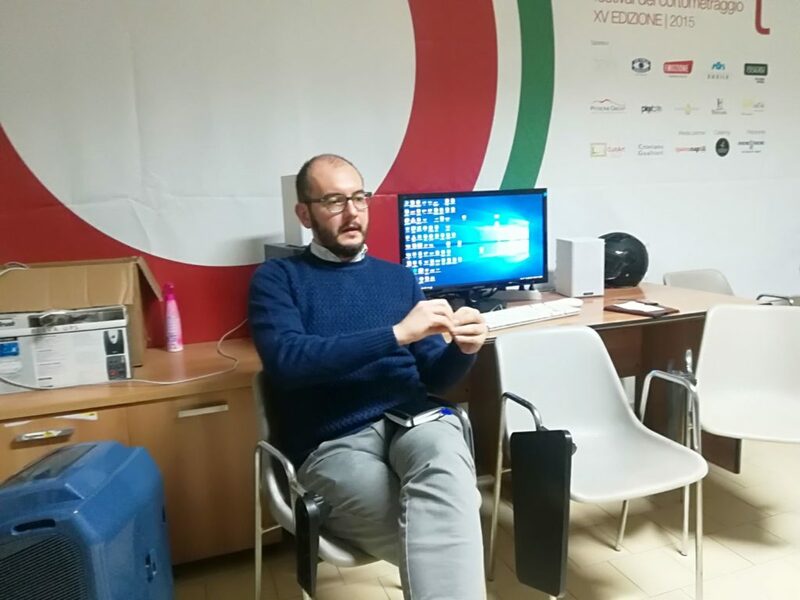 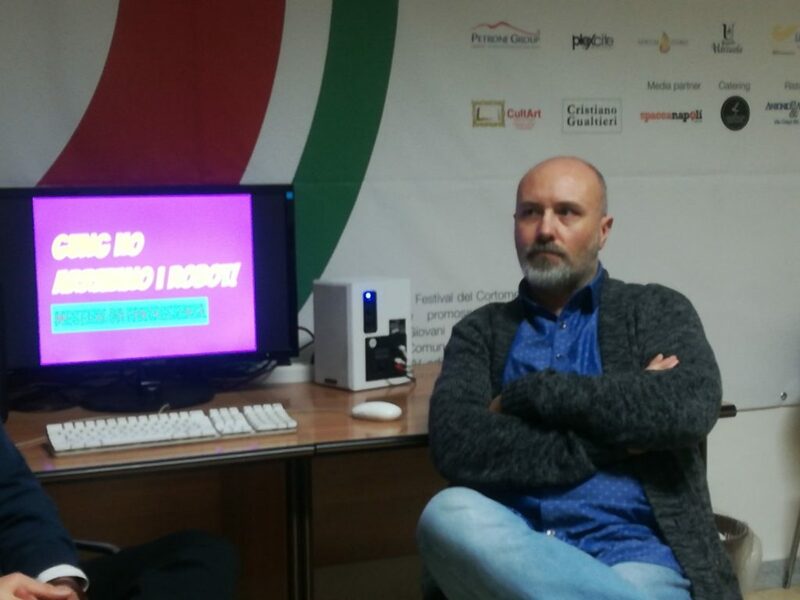 His latest web project is Federica, an innovative e-learning platform. 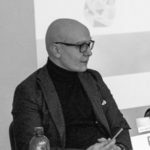 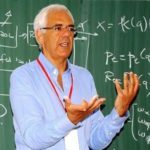 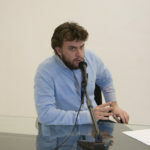 Riccardo Campa is Professor of Sociology at Jagiellonian University in Krakow, where he’s also director of the History of Ideas Research Centre. 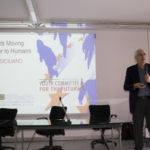 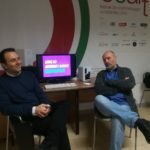 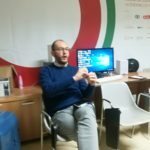 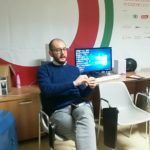 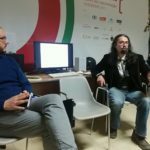 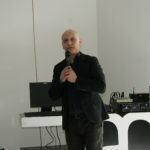 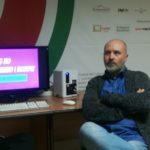 He was founder of the Italian Transhumanist Association and fellow of the Institute for Ethics and Emerging Technologies. 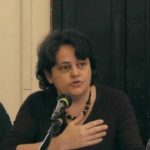 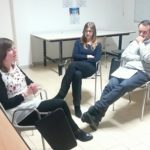 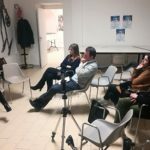 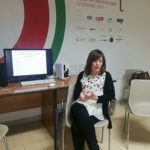 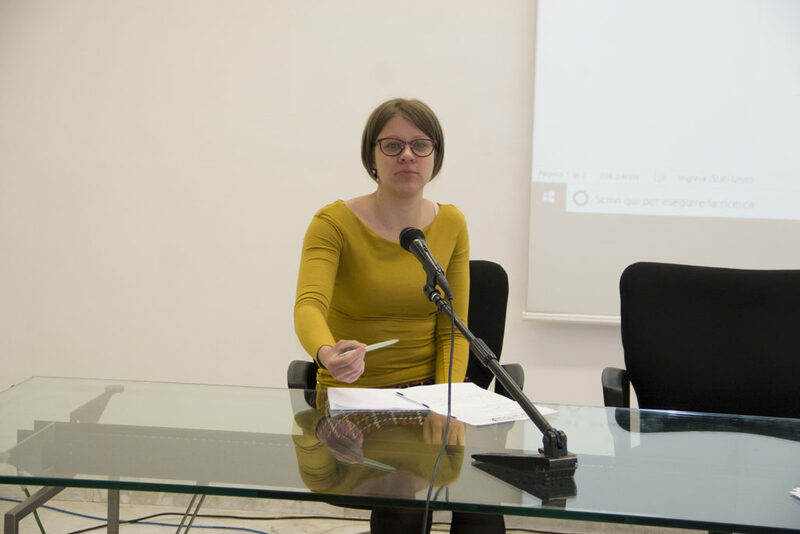 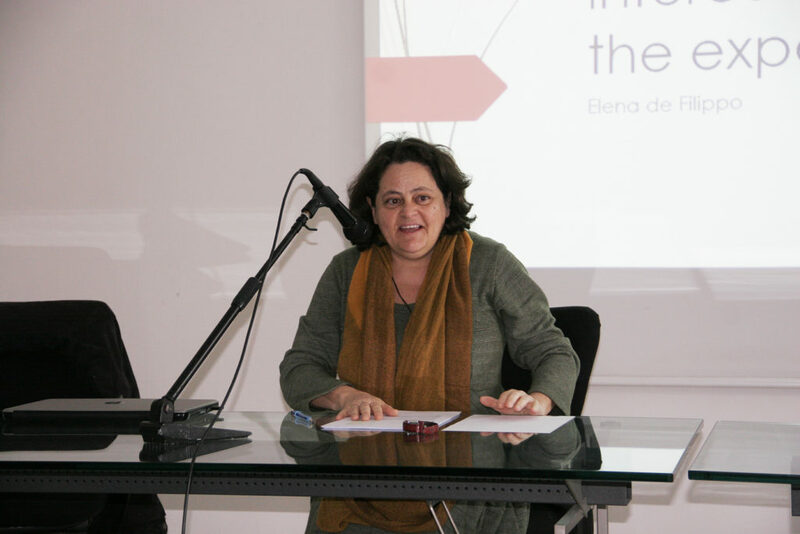 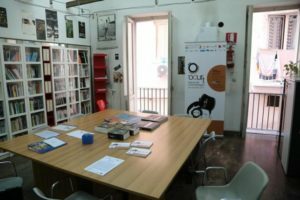 Elena de Filippo is the President of Dedalus, a social cooperative based in Naples, where she works on research activities and aid services to migrants. 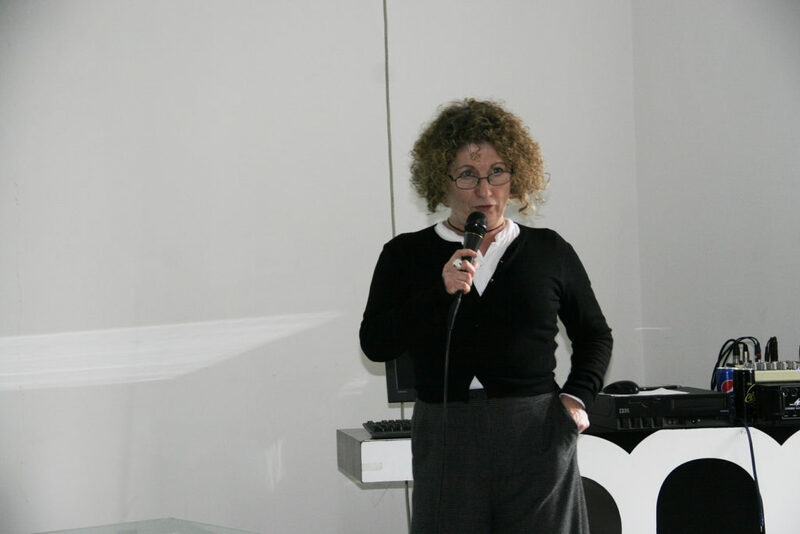 She taught for ten years Sociology of Migrations at the University of Naples Federico II. 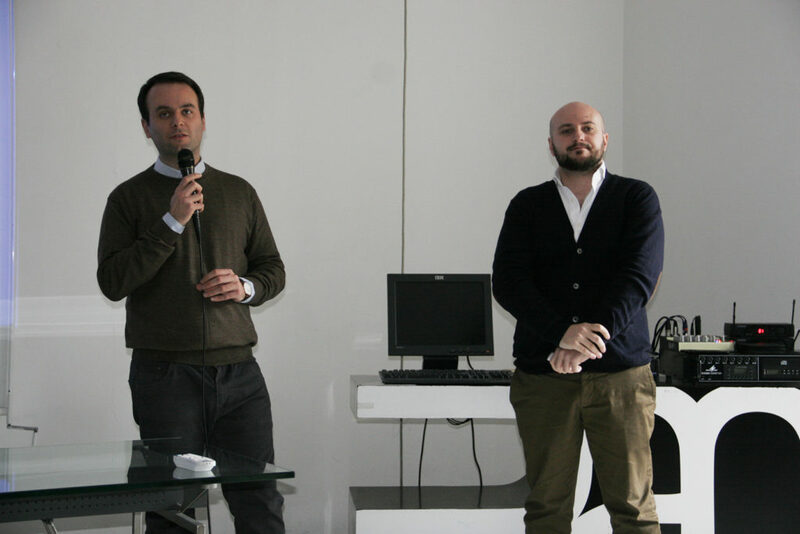 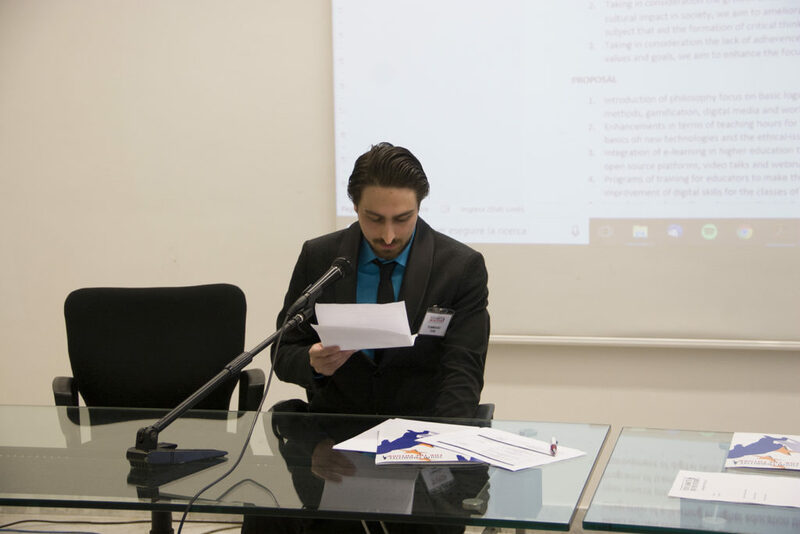 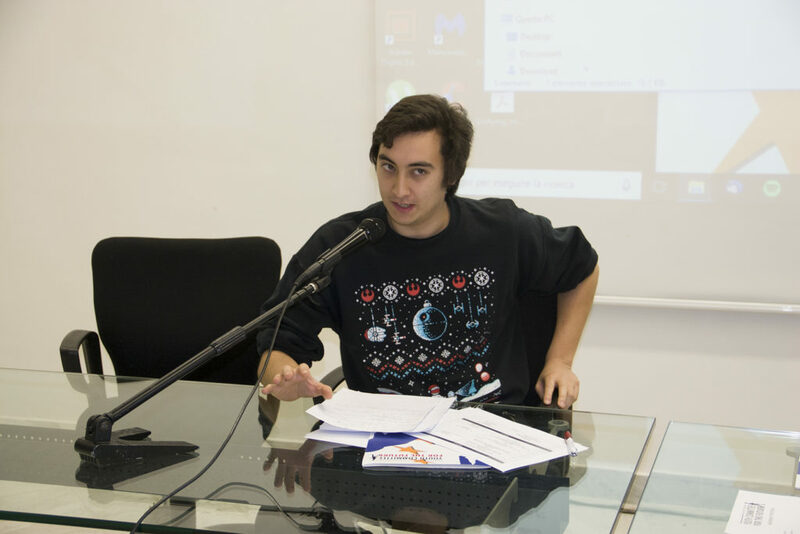 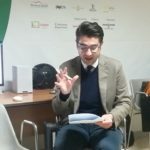 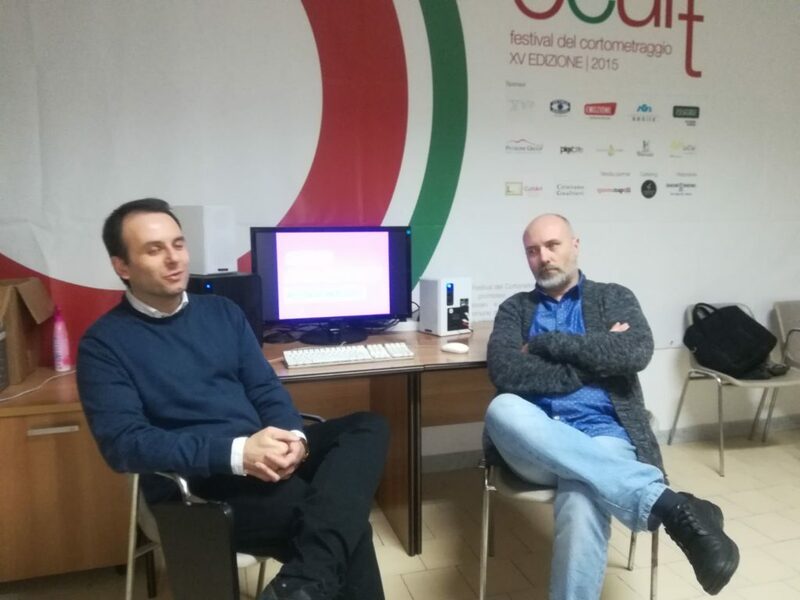 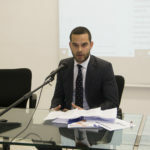 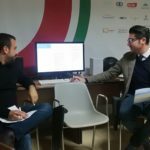 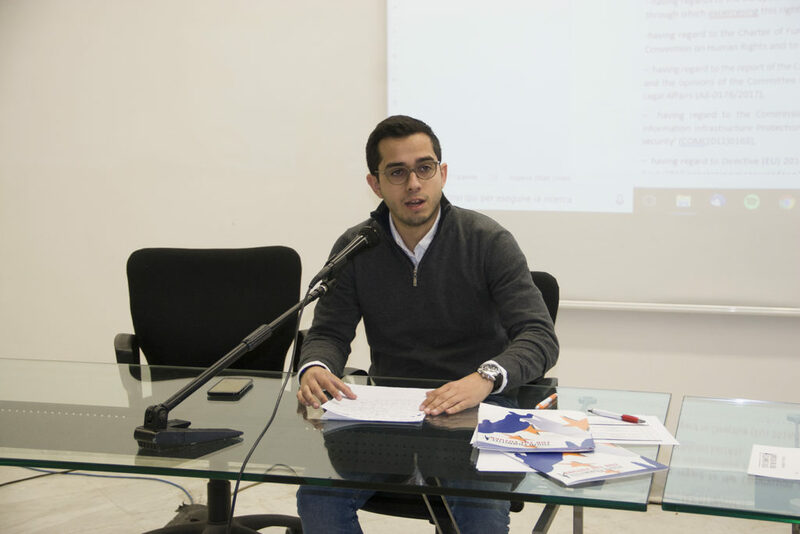 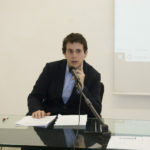 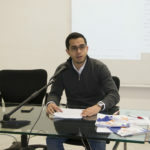 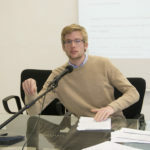 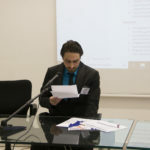 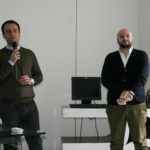 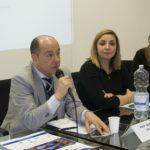 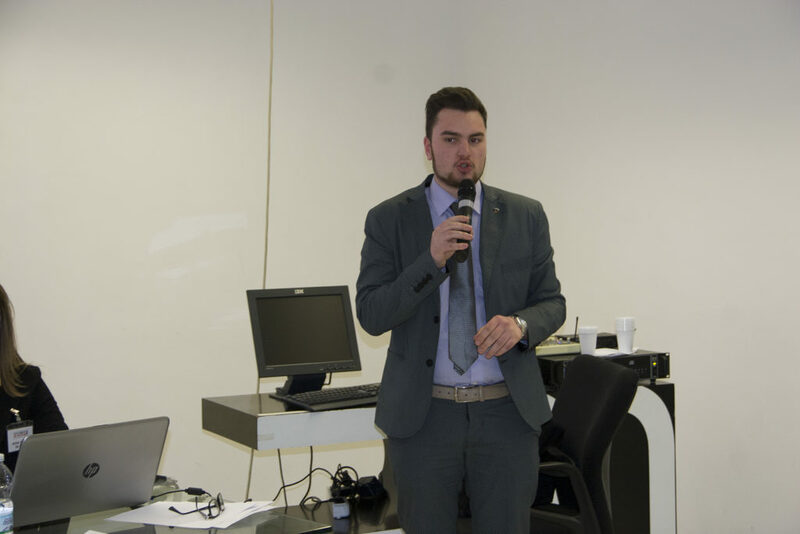 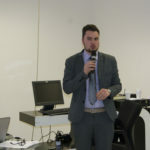 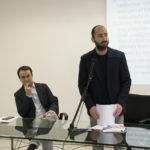 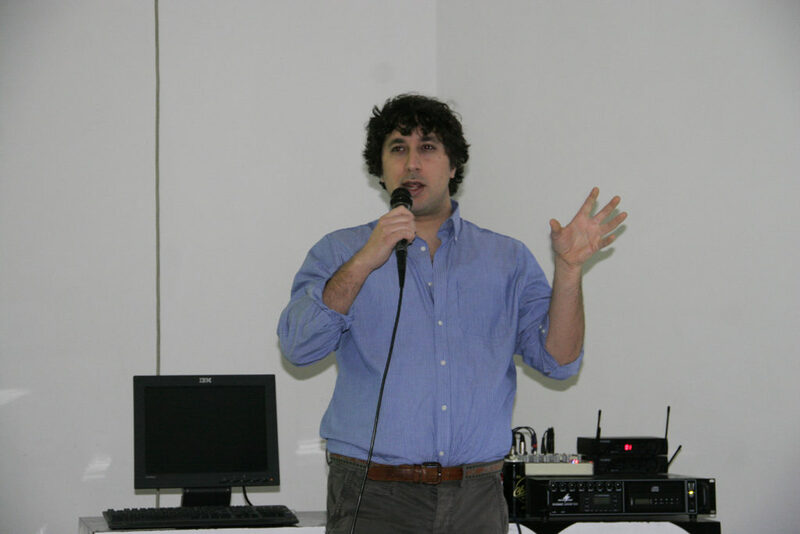 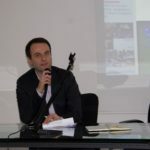 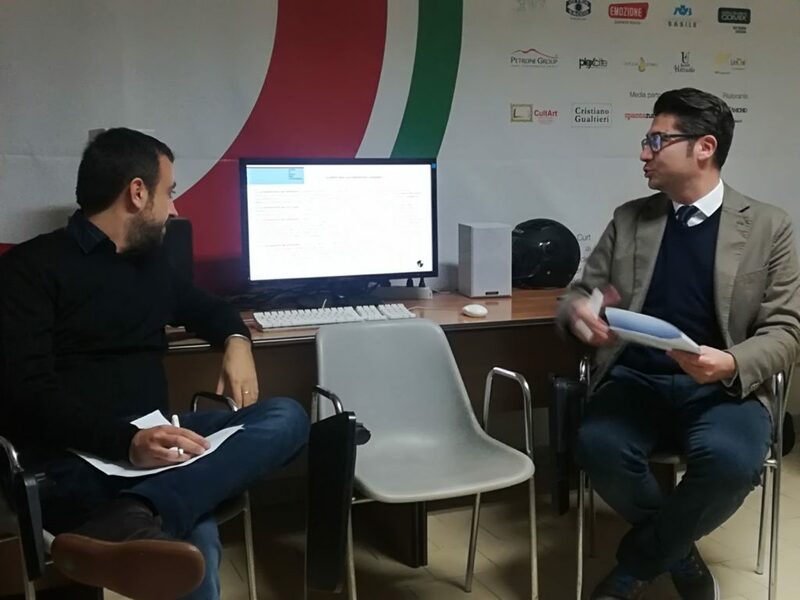 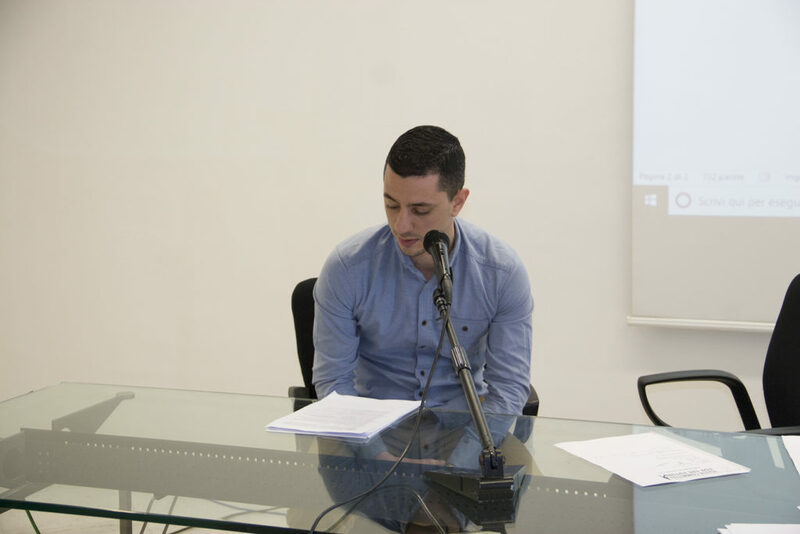 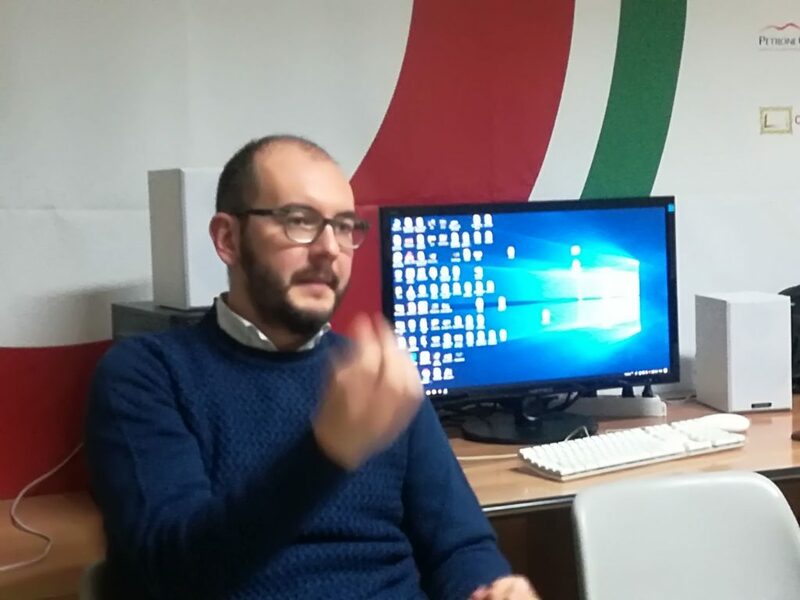 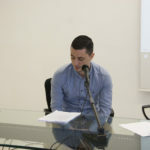 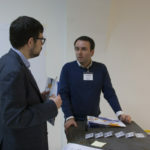 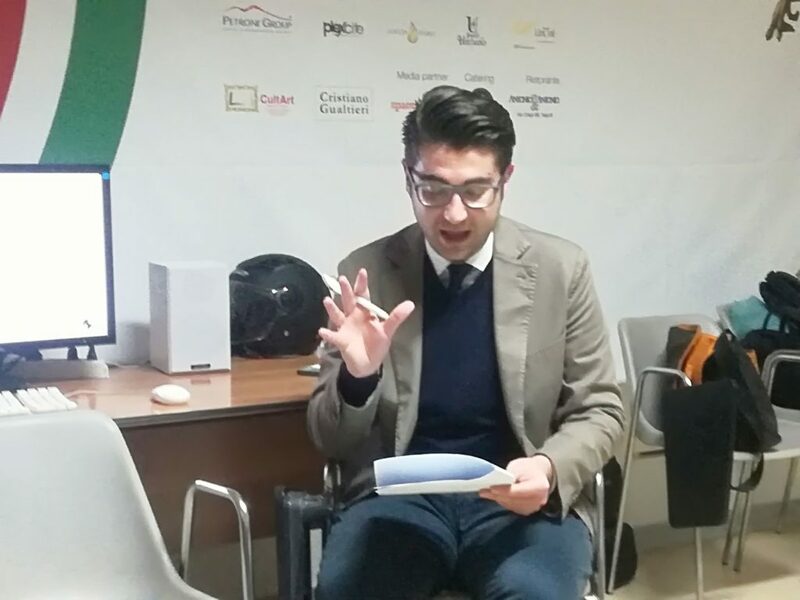 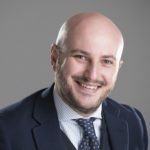 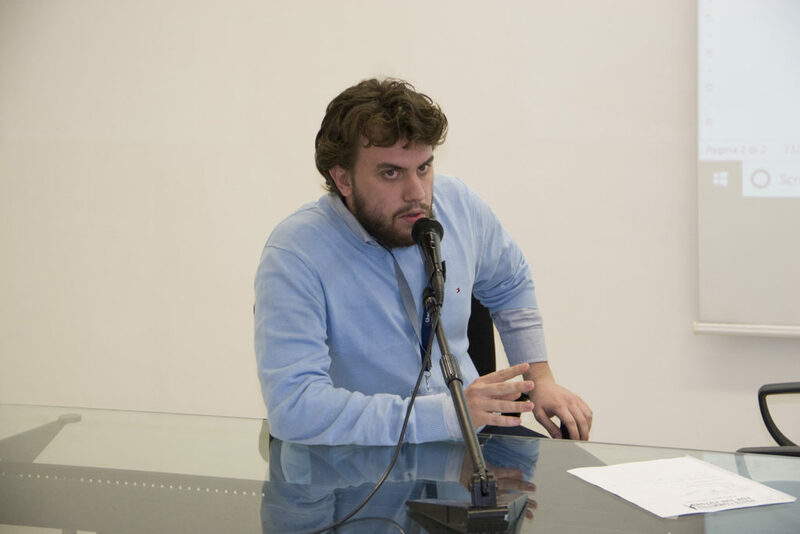 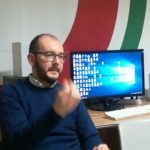 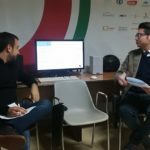 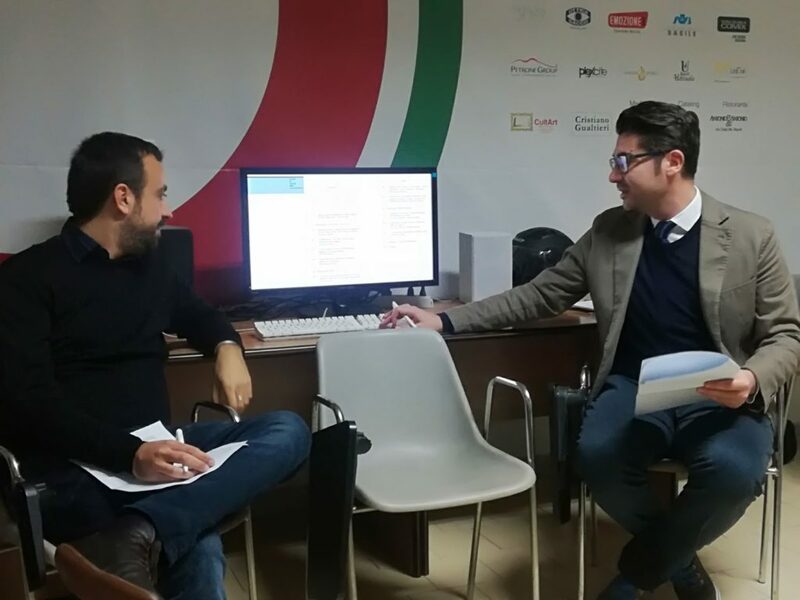 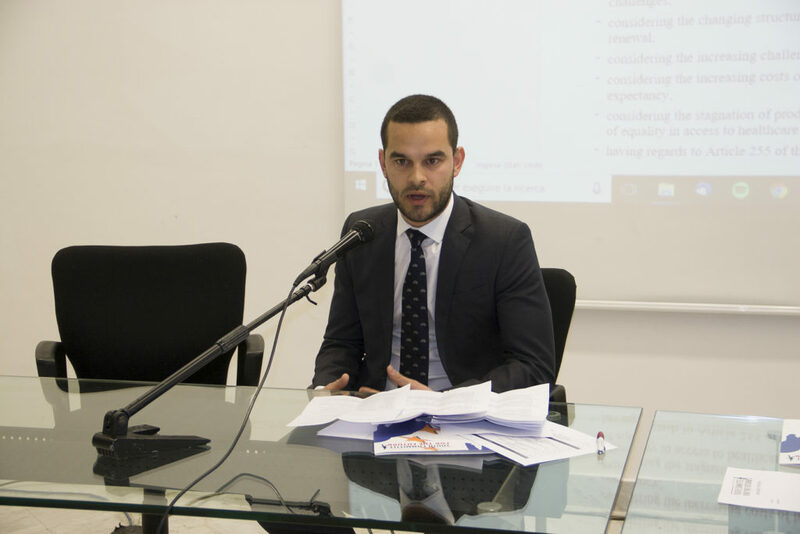 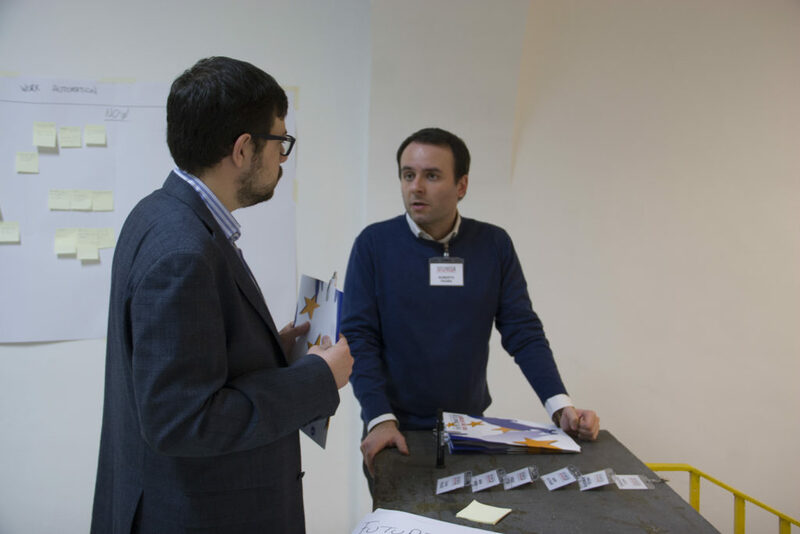 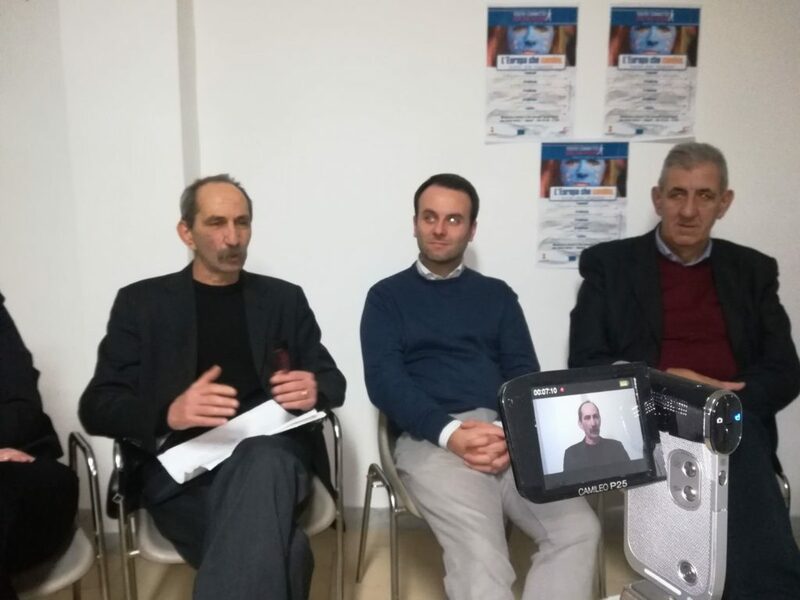 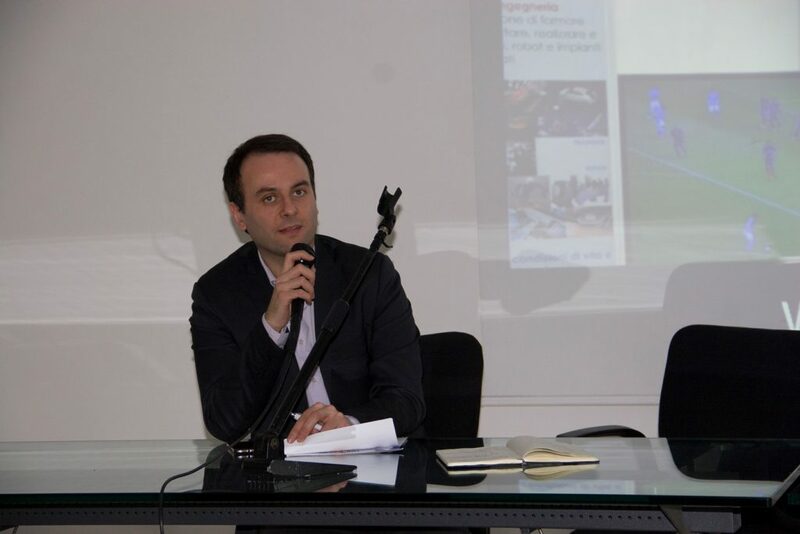 Vincenzo De Luca is Junior Officer at the R&D Unit of the Azienda Ospedaliera Universitaria Federico II, where he manages the Campania Region Reference Site of the European Innovation Partnership on Active and Healthy Ageing (EIP-AHA). 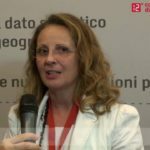 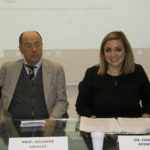 Alessandra De Rose is Full Professor of Demography at the Sapienza University of Rome and former Dean of the European Doctoral School in Demography. 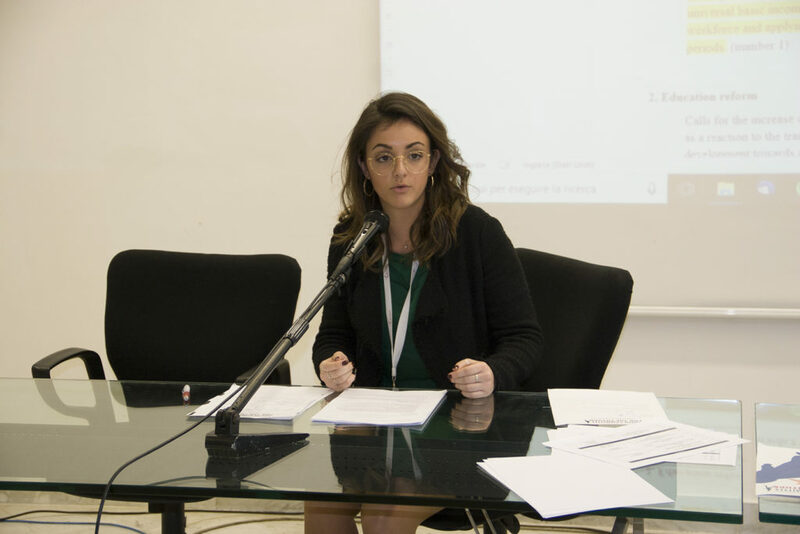 She is also chairholder of UNESCO Chair on “Population, Migrations and Development”. 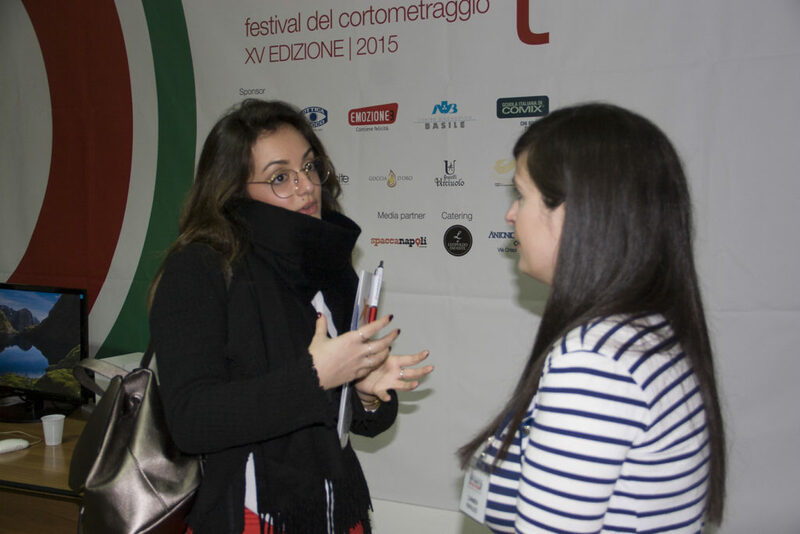 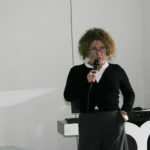 Carolina Facioni is a Sociologist at ISTAT, the Italian Institute of Statistics. 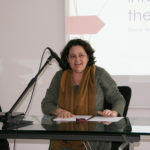 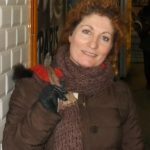 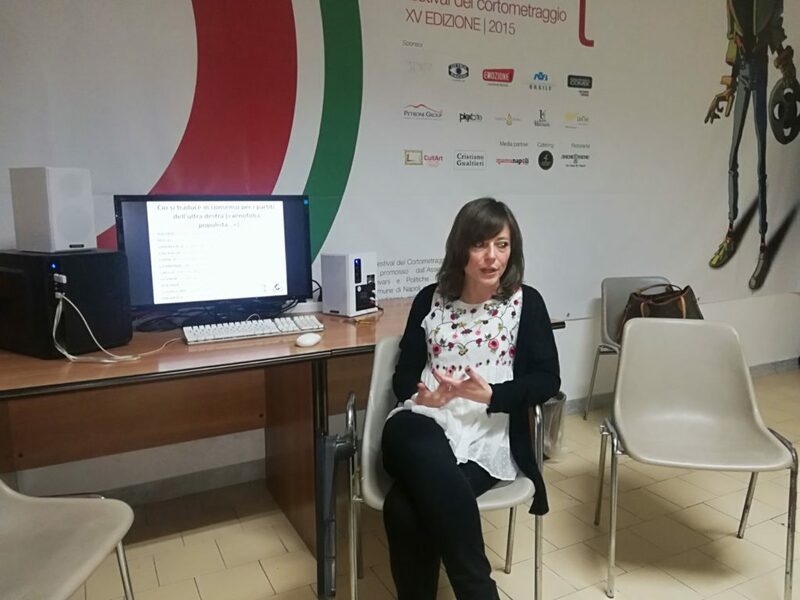 She works in the field of cultural enquiries and quality of life and is a member of the scientific committee of the Italian Institute for the Future. 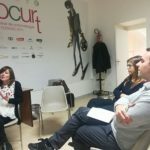 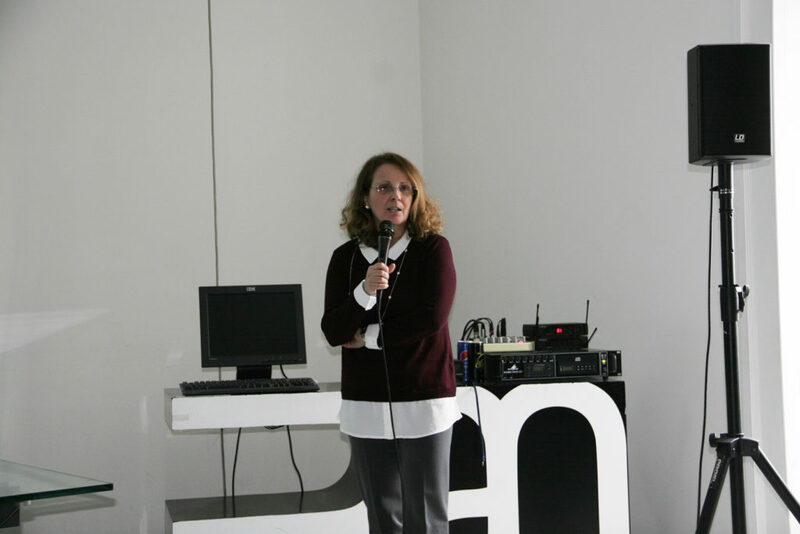 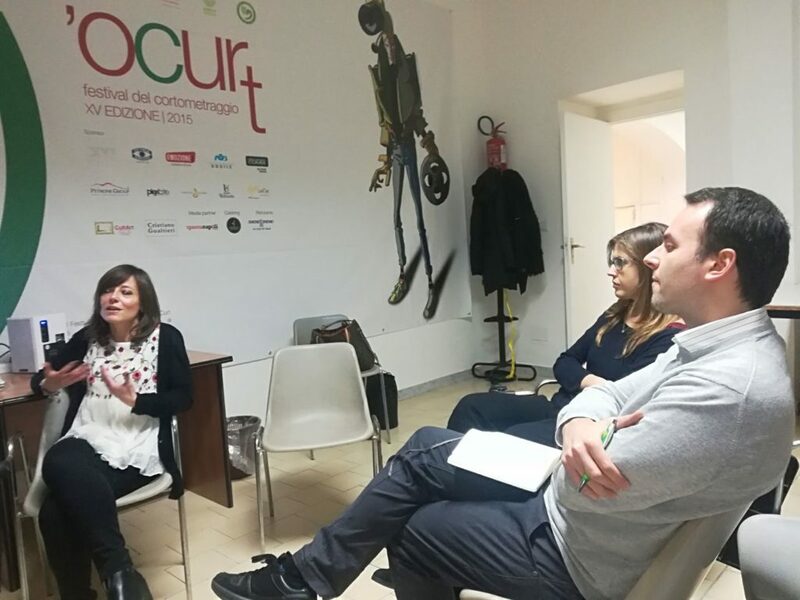 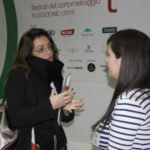 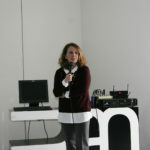 Andrea Geremicca is Chief Marketing Officer at Impactscool, a non-profit organization for the innovation in education. 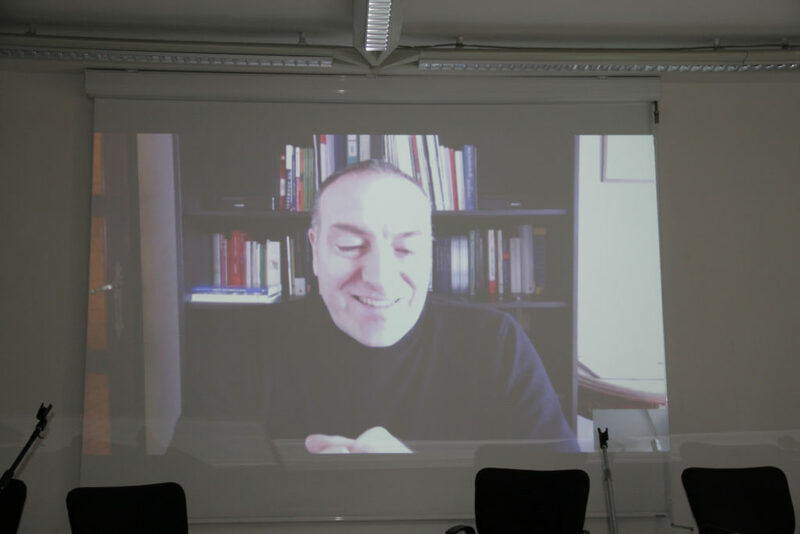 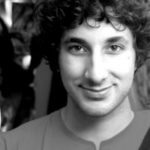 He attended the Singularity University in Silicon Valley in 2016 and was part of the Roman chapter of the Singularity University. 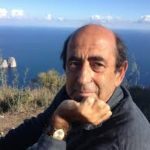 Paolo Mossetti is a journalist and writer based in Naples. 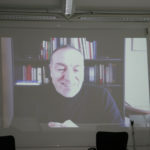 He also worked in Milan, London and New York. 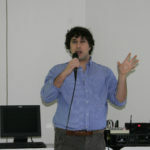 His articles are published on Esquire, Forbes, Huffington Post, Rolling Stone, Vice and other magazines. 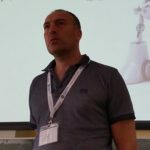 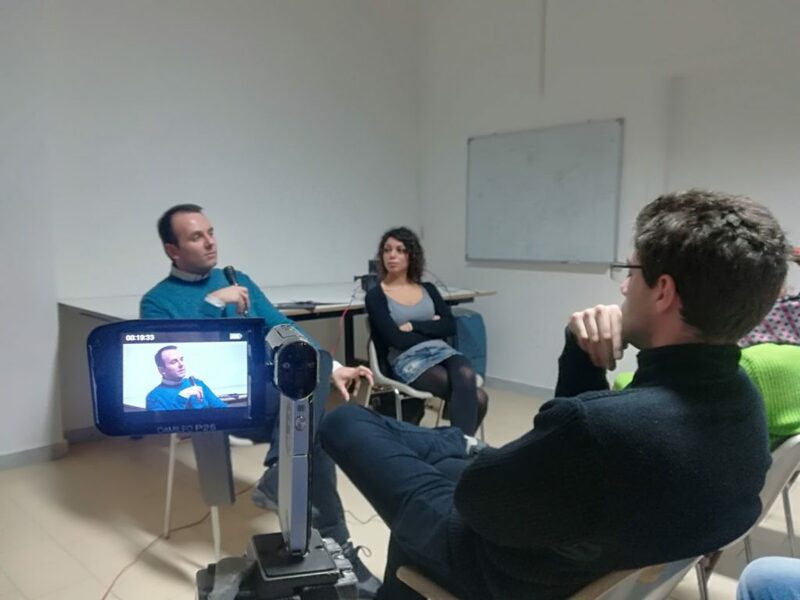 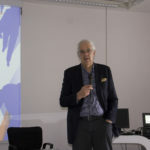 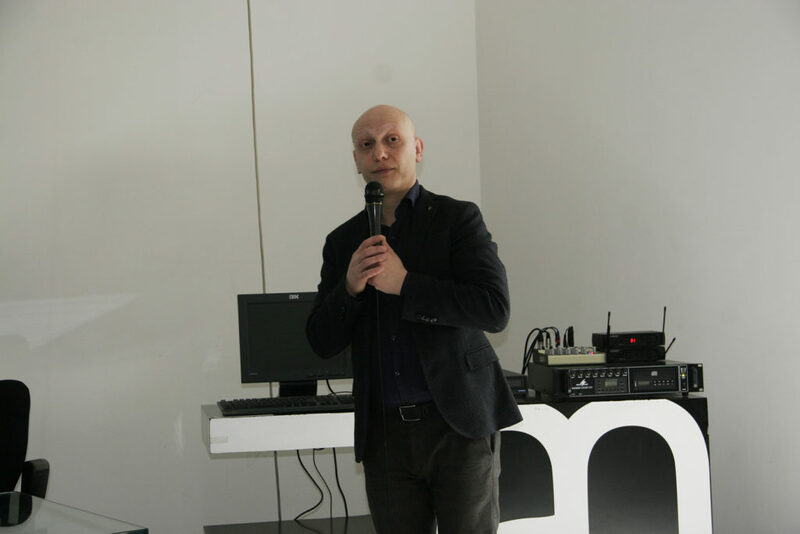 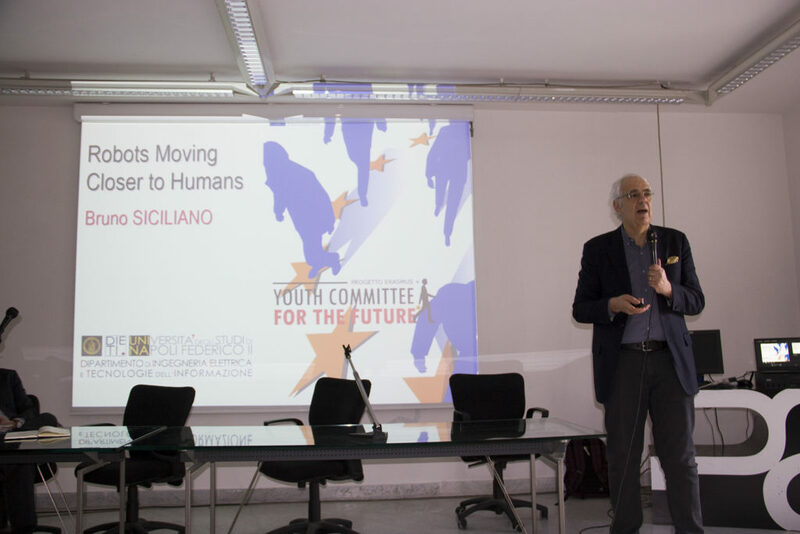 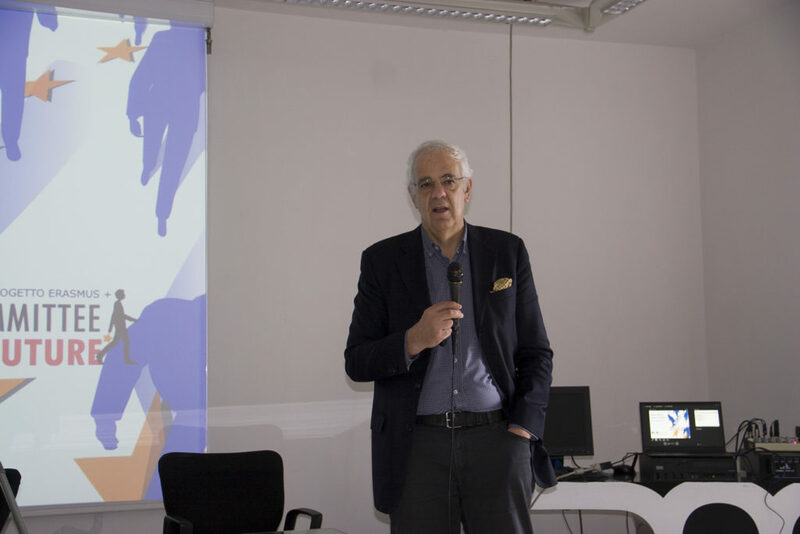 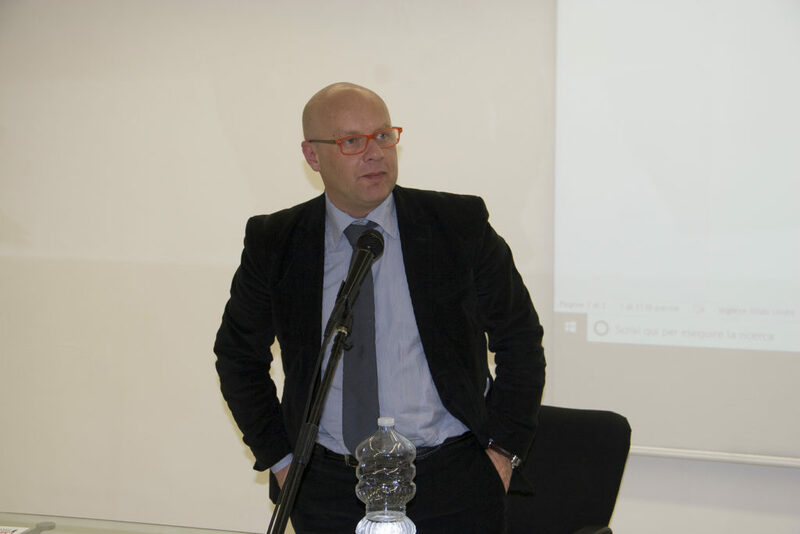 Bruno Siciliano is Professor of Control and Robotics, Director of the Interdepartmental Center for Advanced RObotics in Surgery (ICAROS) and Coordinator of the PRISMA Lab at University of Naples Federico II. 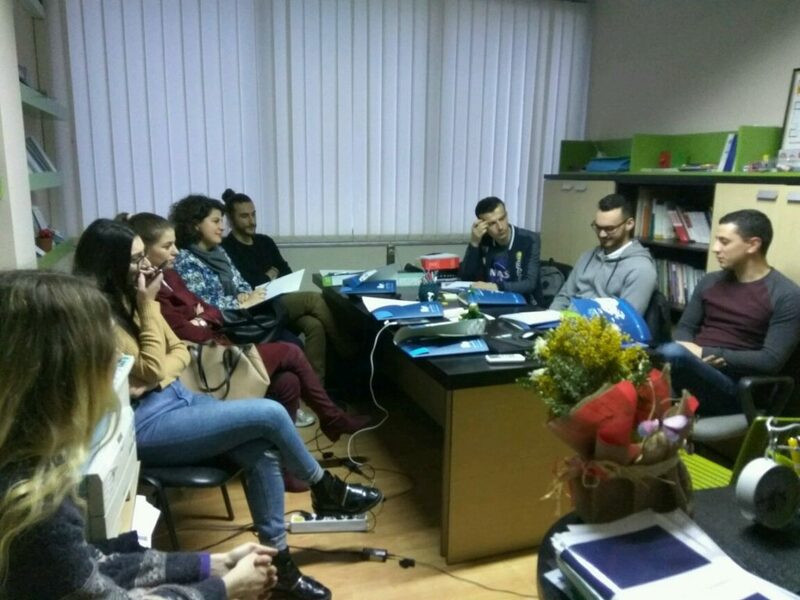 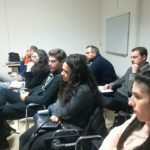 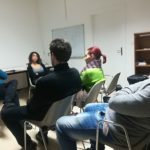 1 meeting to inform participants about the Structured Dialogue and the priorities of the 5th cycle, and to present the Erasmus+ programme and the specific key actions. 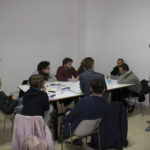 During this meeting, young participants will be informed about the process of structured dialogue and about the methodologies which will carry out in the dialogue with the policy-makers. 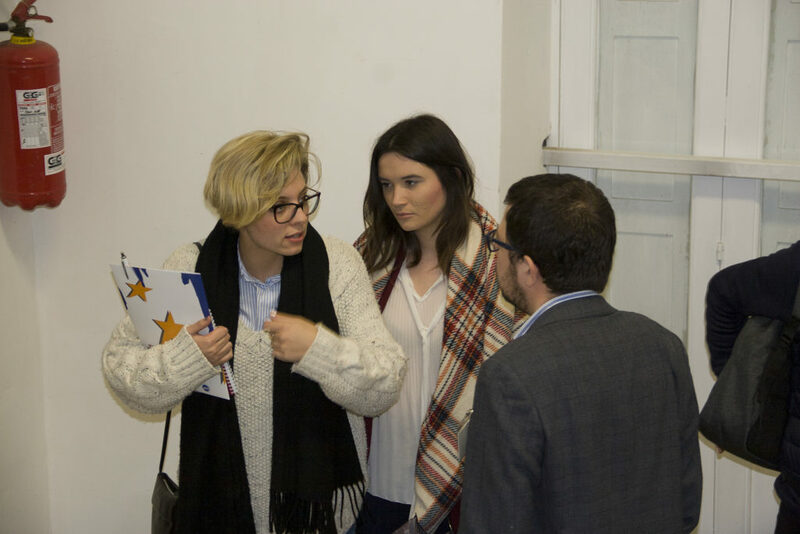 A specific focus will be on the priorities of the “Presidency Trio”. 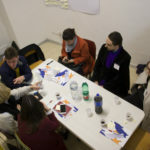 5 meetings focused on the five topics we will discuss in the simulation phase in Naples. 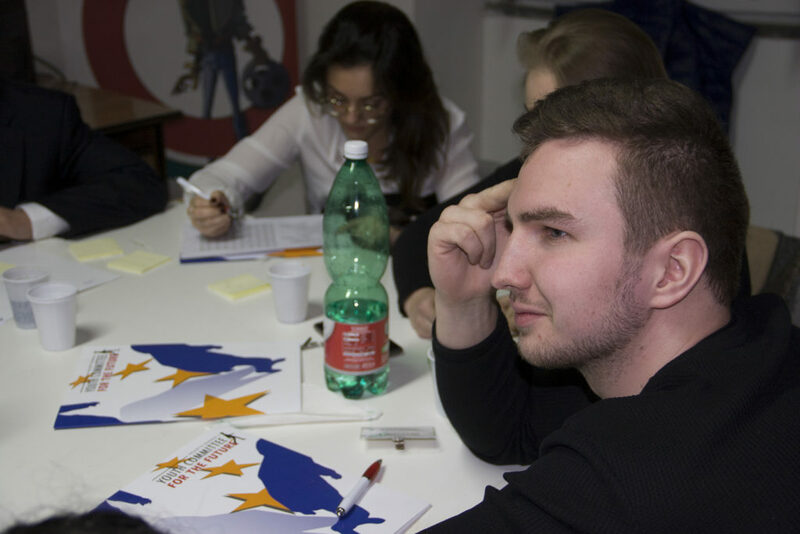 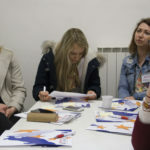 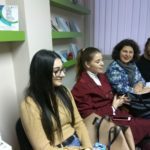 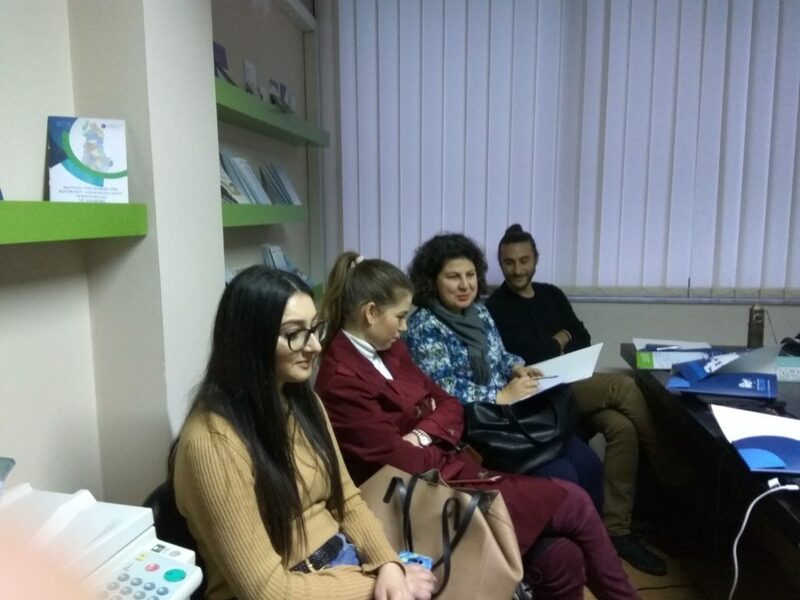 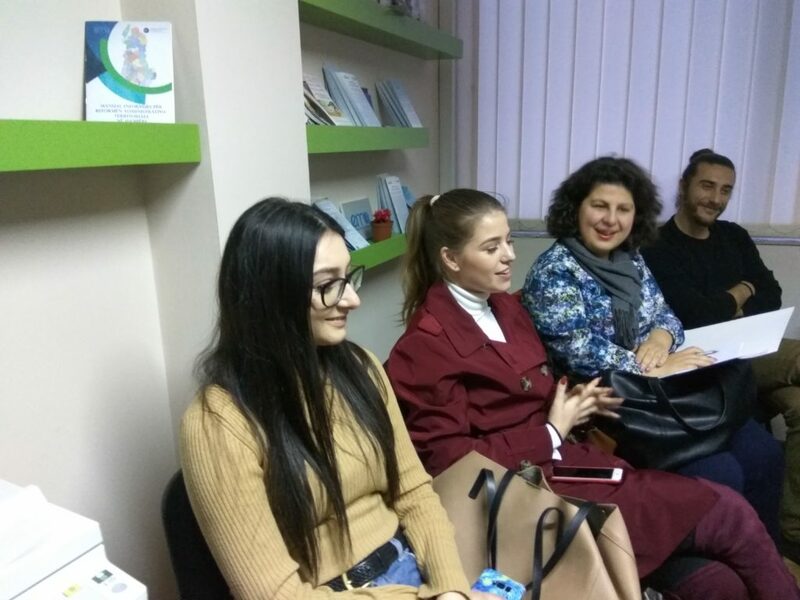 Every participant will receive some documents from European institutions, think-tanks and other organizations to be studied in order to have a general knowledge of the different topics. 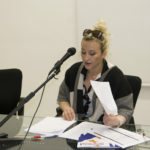 Each partner organization should also suggest other readings, documentaries and multimedia content in general (even in their own language) for the preparation phase. 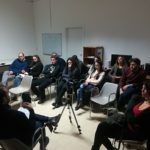 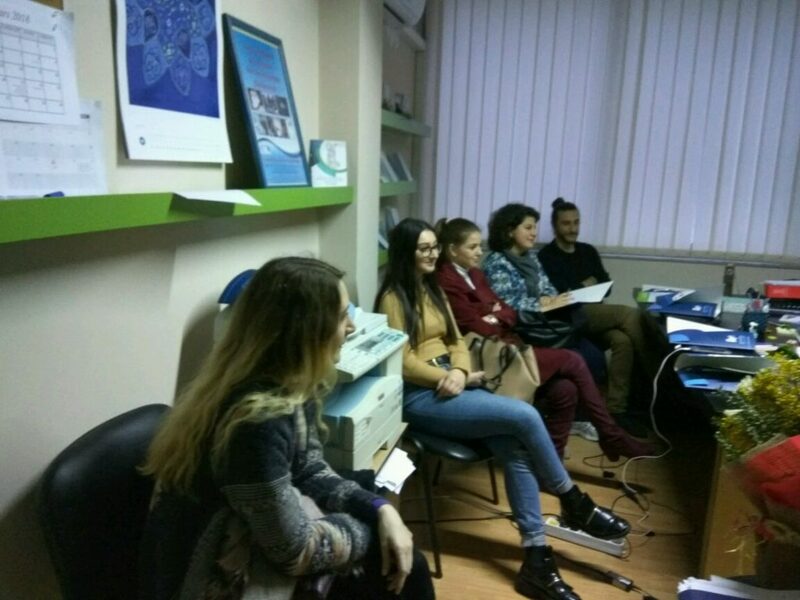 1 last meeting in which participants will be prepared for the simulation phase, learning the methodology of the simulation activity thanks to the training materials, provided them by the organizers. 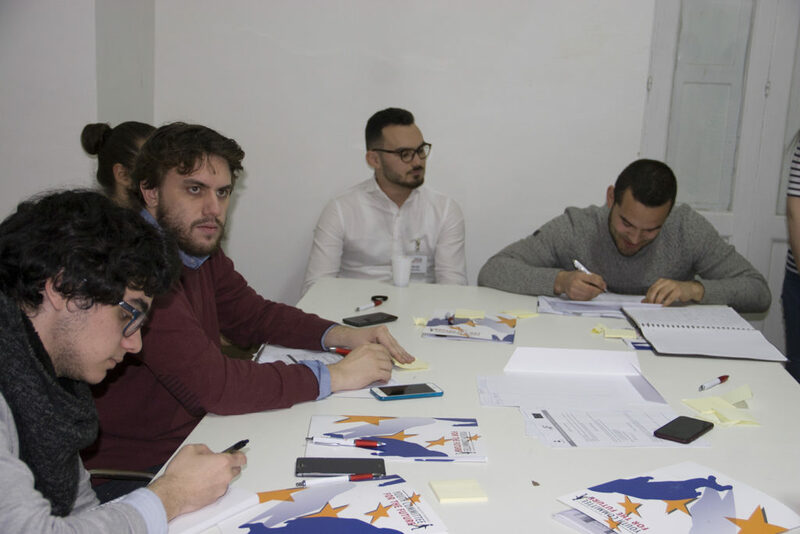 Each partner organization will provide for a specific training about the methodology, by showing to participants examples of similar simulation projects and by explaining them the working of a European Parliamentary Committee. 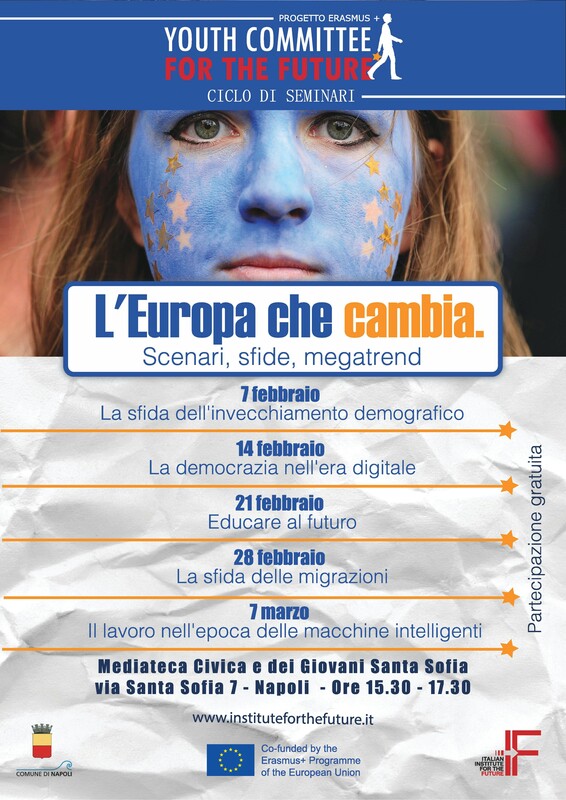 The cycle of seminars “L’Europa che cambia. 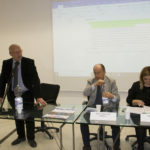 Scenari, sfide, megatrends” (A changing Europe. 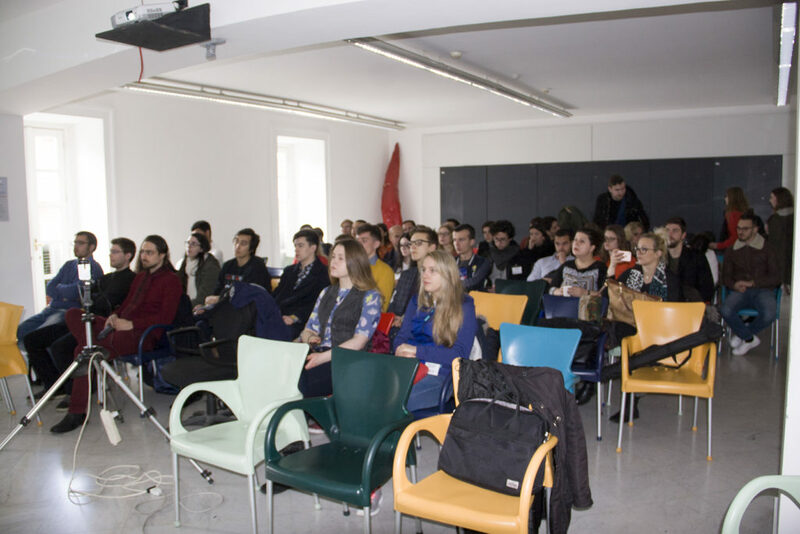 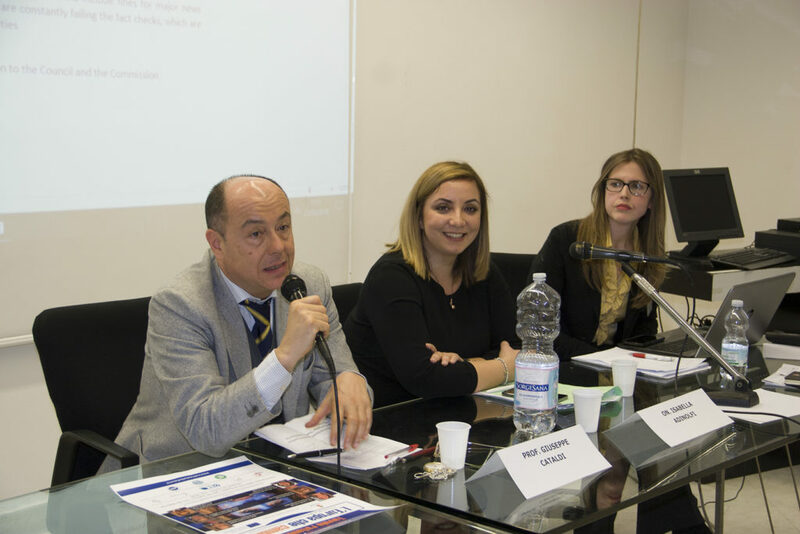 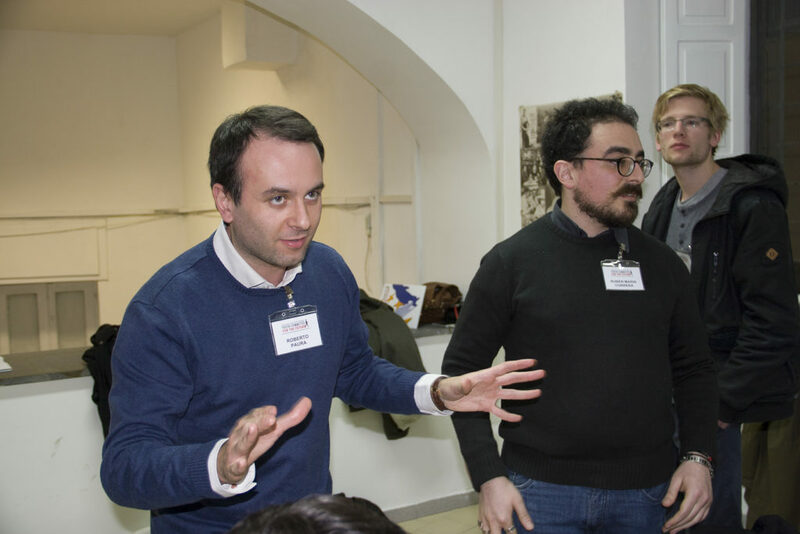 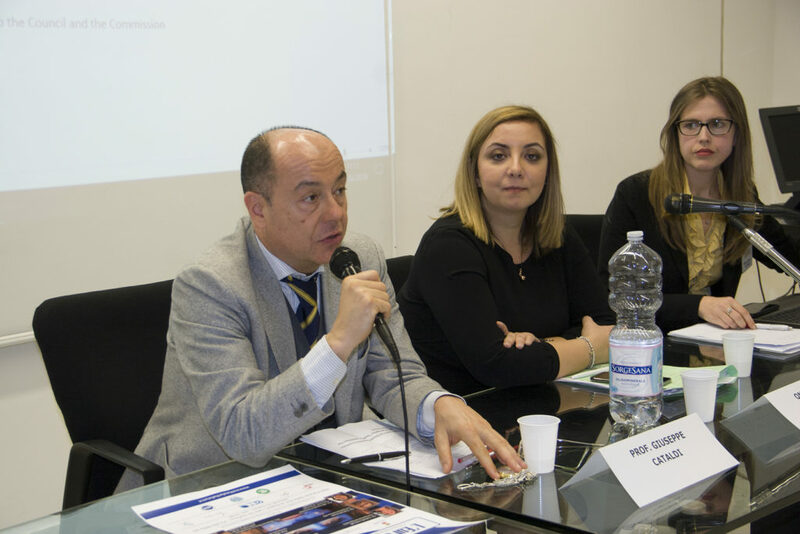 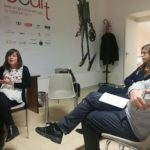 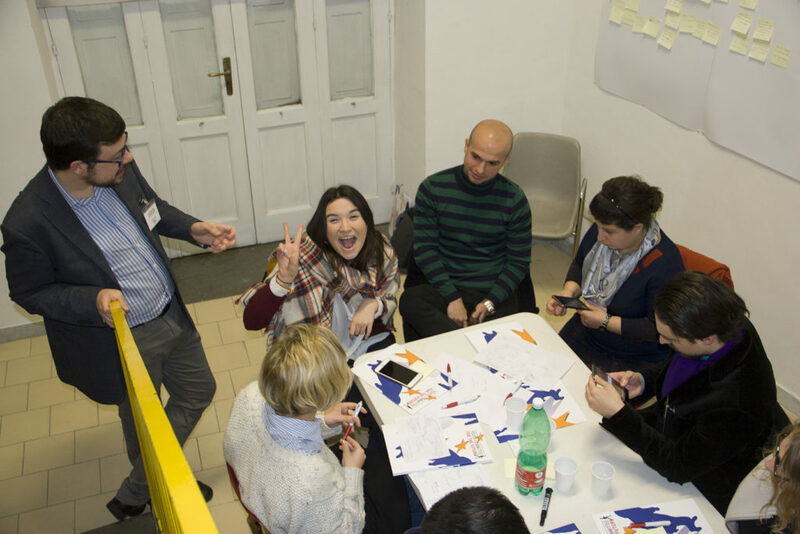 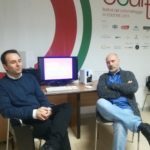 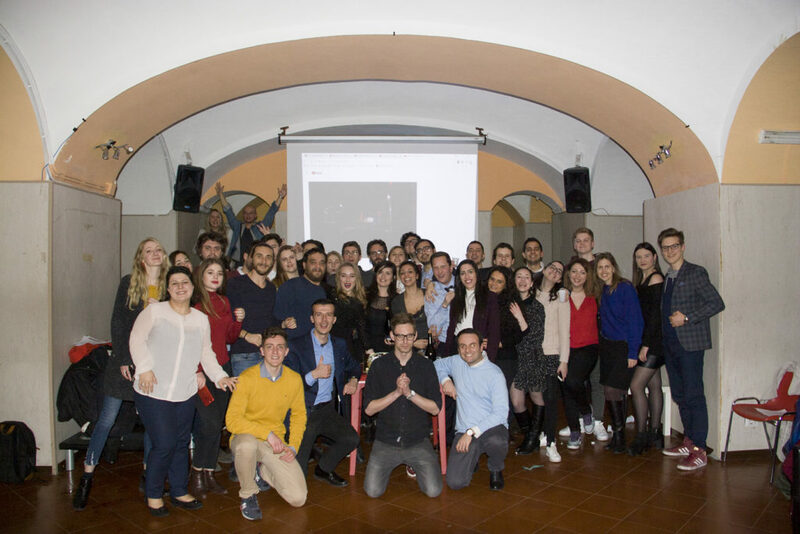 Scenarios, challenges, megatrends) was organized by the Italian Institute for the Future for its delegation, from Februrary 7 to March 7, 2018. 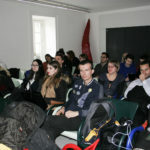 Seminars were hosted at the Mediateca Civica e dei Giovani Santa Sofia, Napoli.